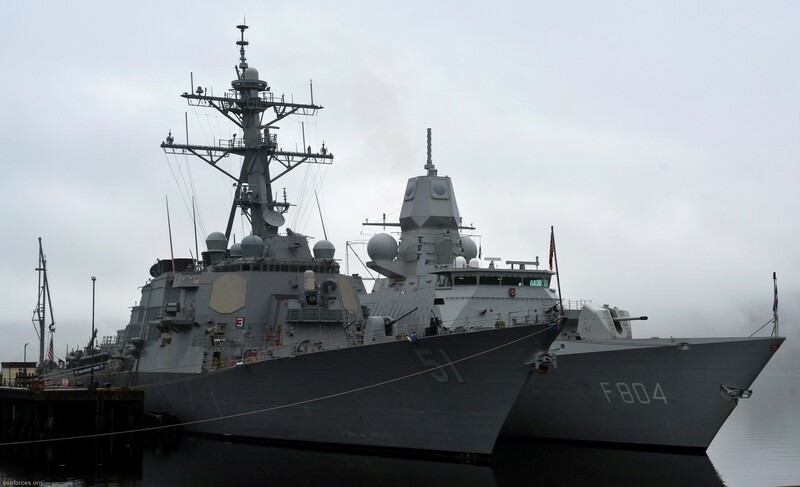 Even before Arleigh Burke was commissioned, the Commander, Operational Test and Evaluation Force, was involved in the initial phases of testing. 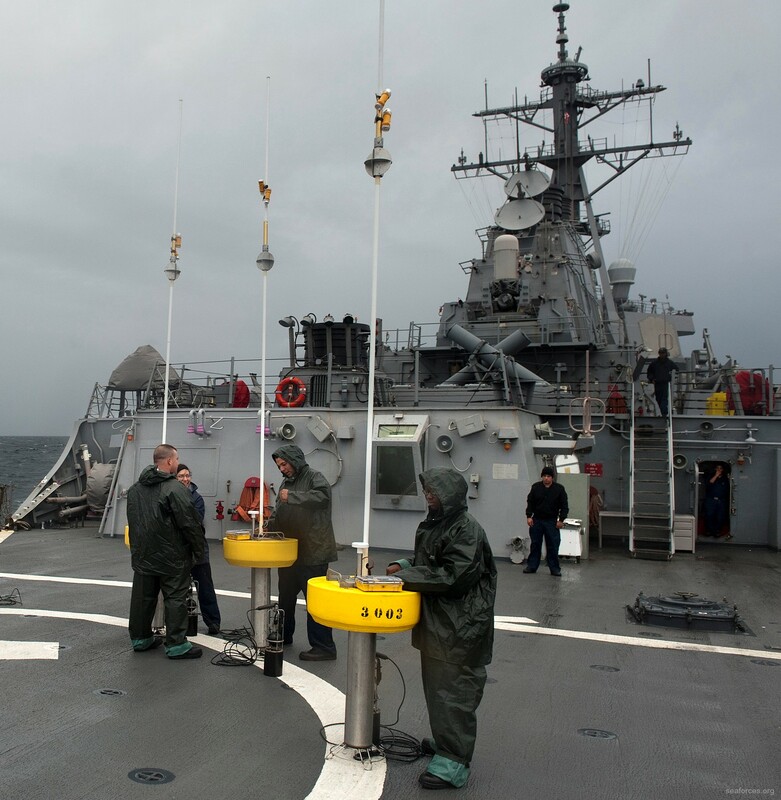 New systems, operated by fleet sailors ashore, were examined at land-based test facilities. 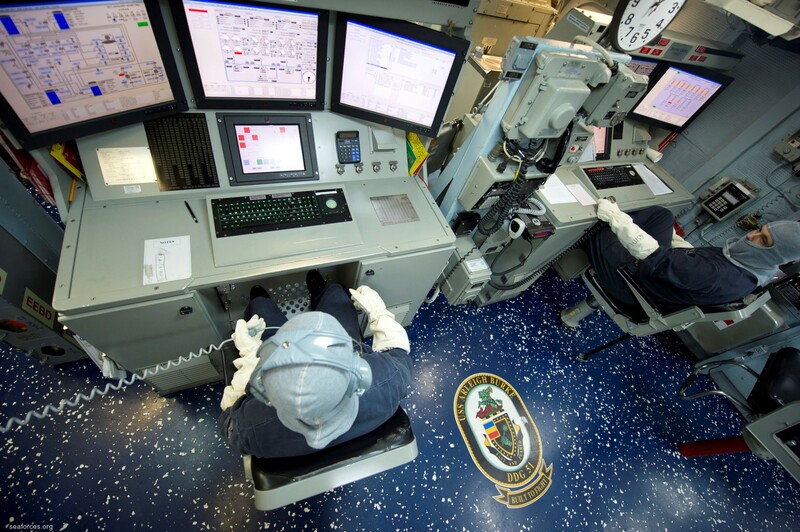 The combat systems testing took place at the Combat System Engineering Development Site in Moorestown, New Jersey. 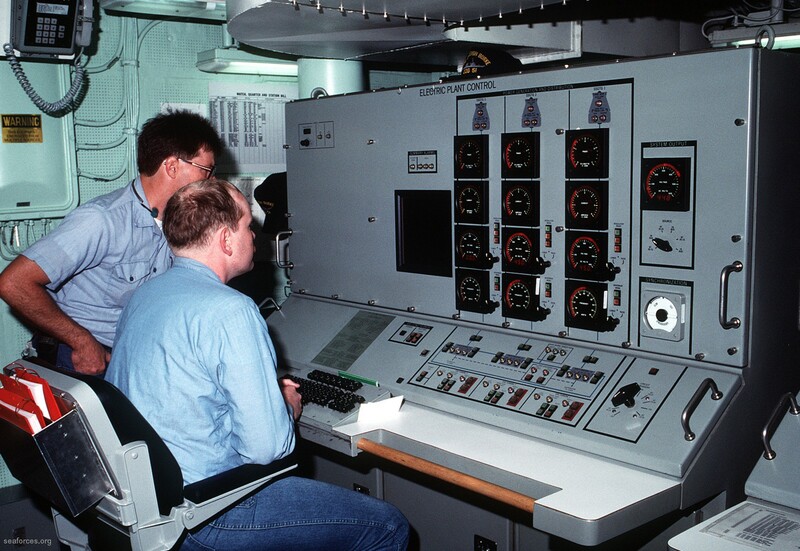 The propulsion plant testing occurred at the Gas Turbine Ship Land-Based Engineering Site in Philadelphia, Pennsylvania. 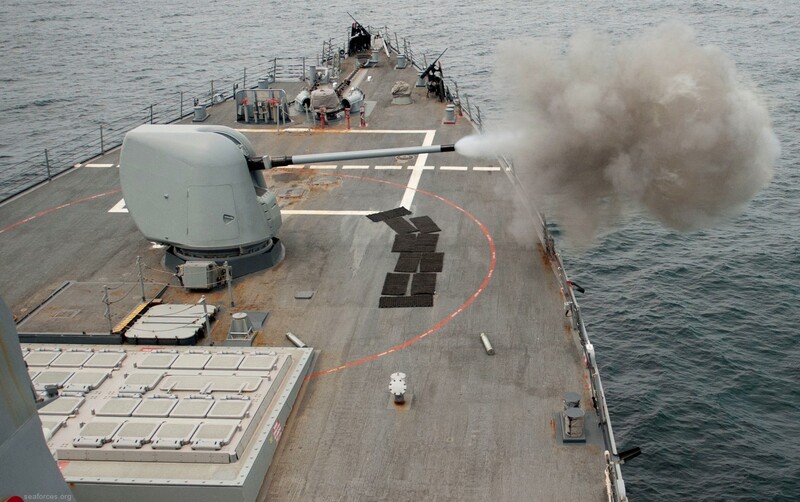 These test results supported the acquisition decision to begin limited production of the ship class. 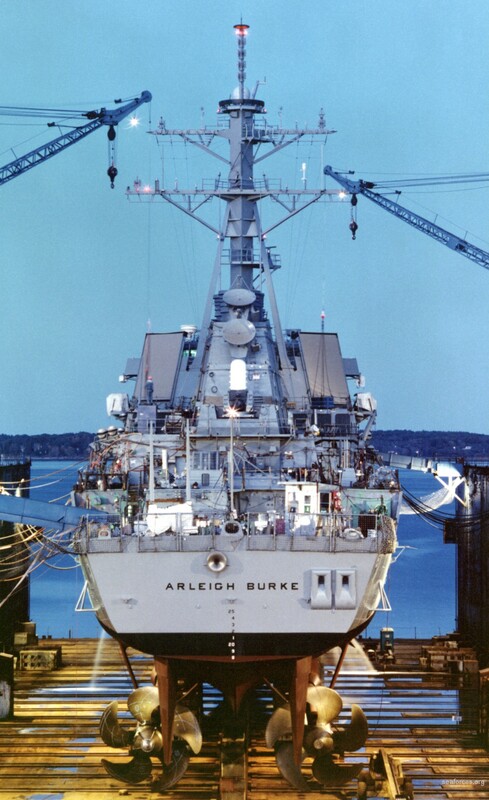 After being commissioned, and throughout 1992, Arleigh Burke conducted extensive testing at sea. 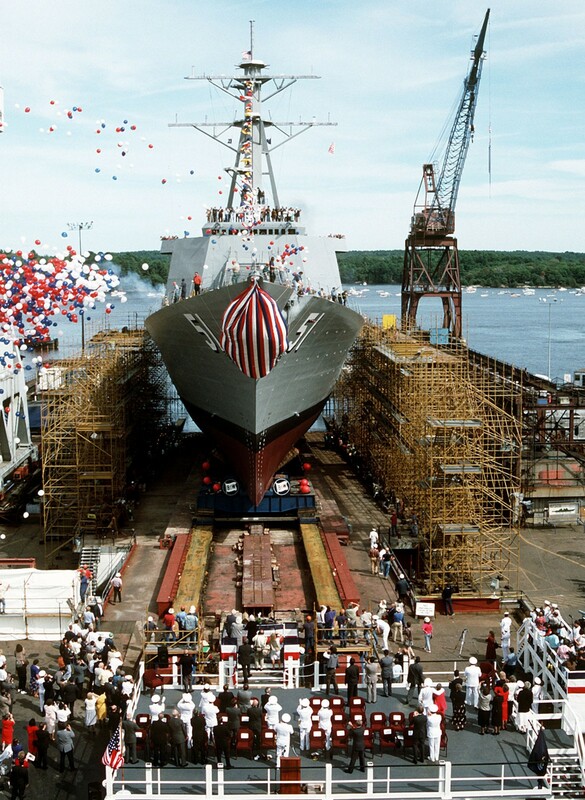 As is often the case with new ship classes, U.S. Navy officers and shipyard engineers encountered a number of problems with some shipboard systems that required the attention of this warship's design and production agencies. 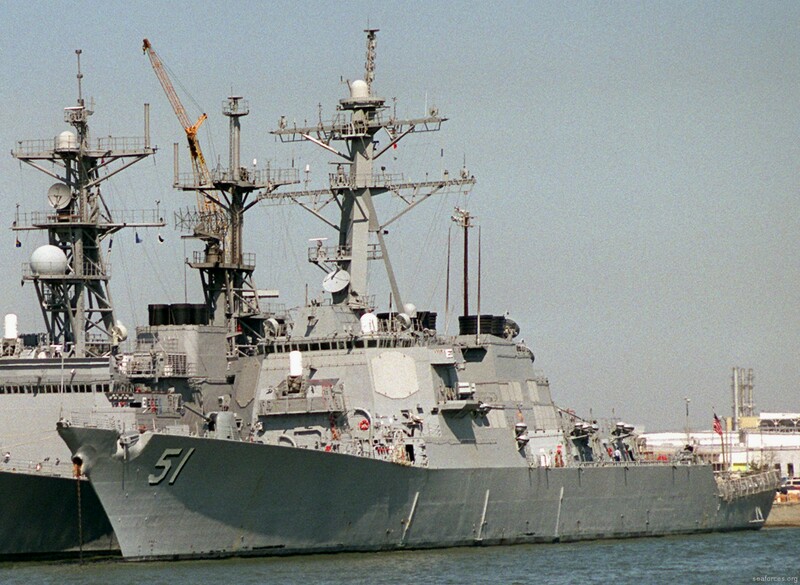 An additional phase of testing was added to verify the effectiveness of the modifications made to these systems - modifications incorporated into later destroyers of the Arleigh Burke class. 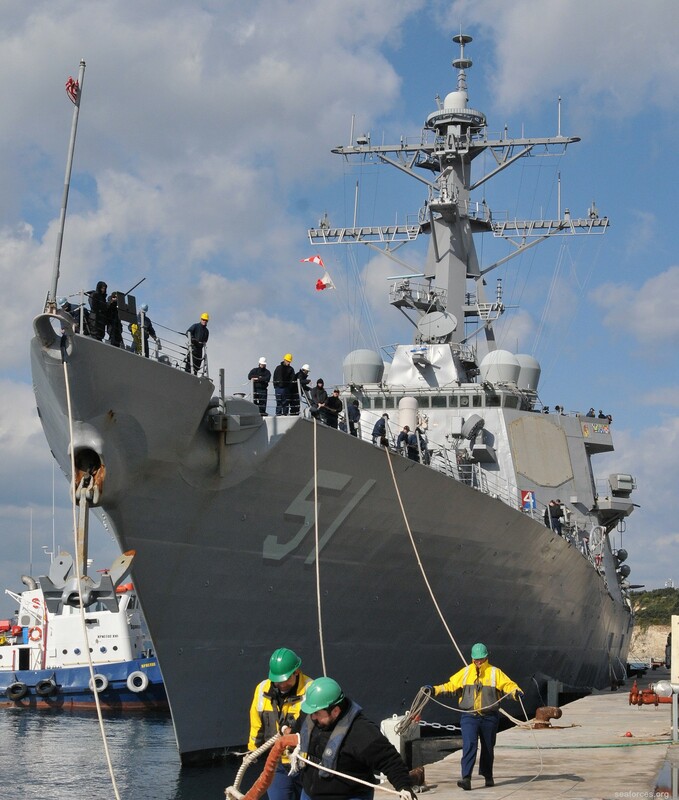 Following her initial operational testing, Arleigh Burke was deployed to the Mediterranean Sea and the Adriatic Sea in 1993, serving as the "Green Crown" during Operation Provide Promise. 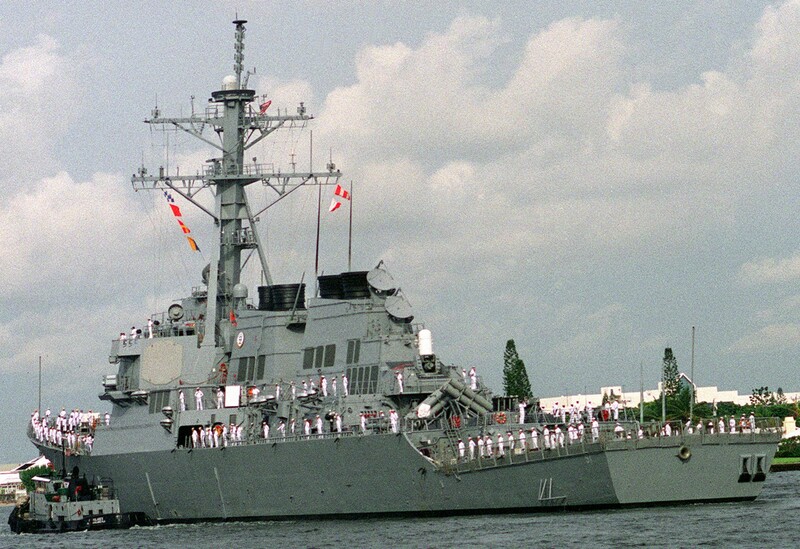 During her second deployment in 1995, Arleigh Burke steamed in the Mediterranean Sea as the "Red Crown" in support of the No-Fly Zone over Bosnia and Herzegovina. 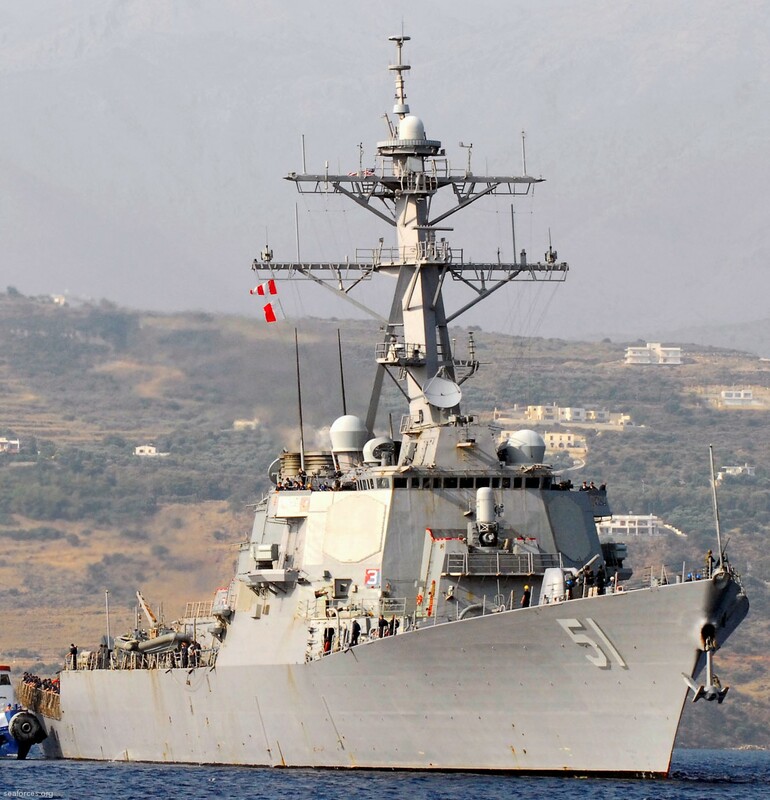 During her third cruise, in 1998, she steamed in the Mediterranean Sea, Adriatic Sea, Red Sea, and Black Sea, as a participant in numerous American and Allied exercises. 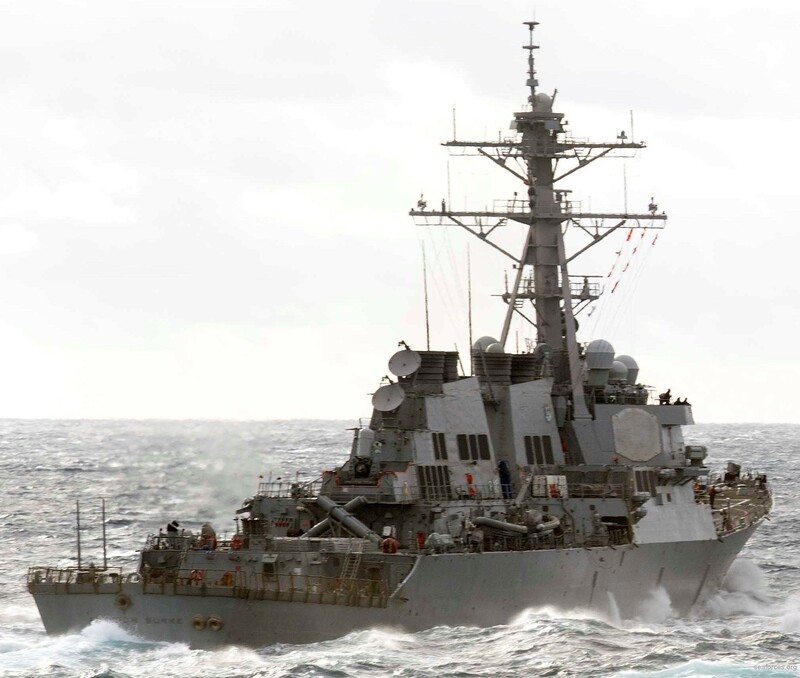 During her fourth cruise in 2000–2001, Arleigh Burke saw service in the Mediterranean and Red Seas and in the Persian Gulf, enforcing United Nations sanctions against Iraq and conducting exercises with allied naval partners. 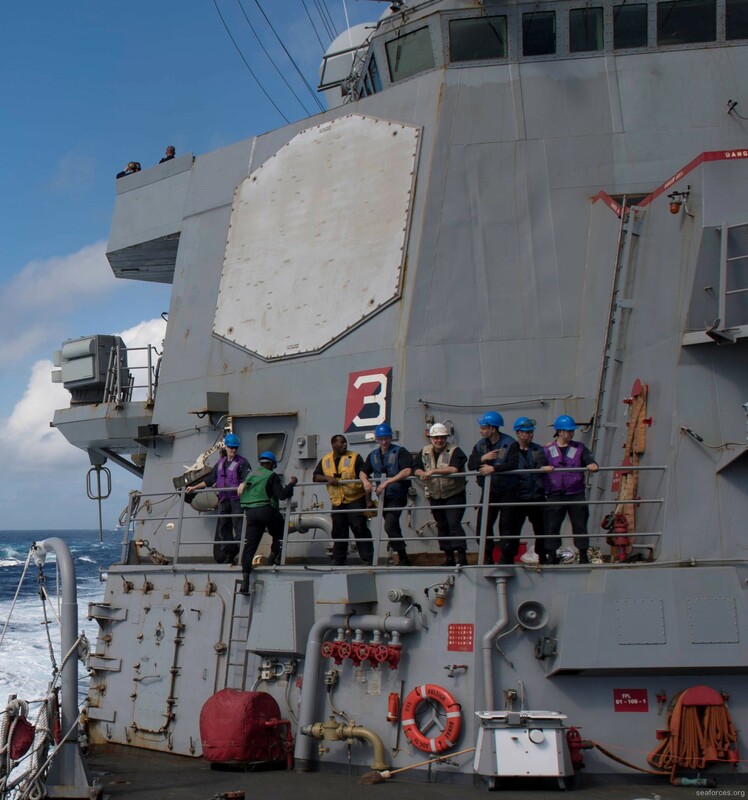 On her fifth deployment in 2003, Arleigh Burke and the other units of the USS Theodore Roosevelt-led carrier battle group participated in Operation Enduring Freedom and Operation Iraqi Freedom. 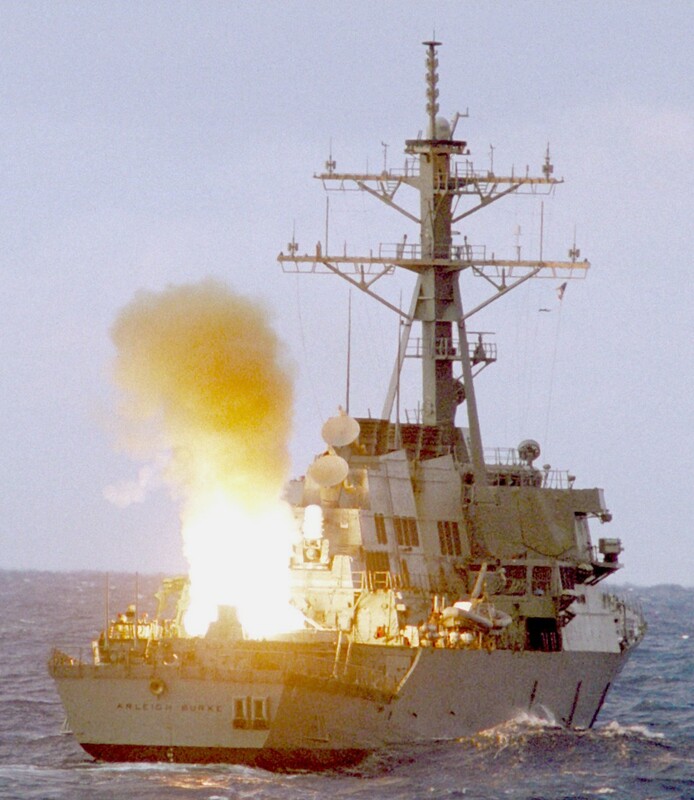 During this wartime cruise, Arleigh Burke fired Tomahawk missile strikes against targets in Iraq, escorted merchant ships and naval auxiliaries through geographic choke-points, and carried out "leadership interdiction" operations in the northern Arabian Sea. 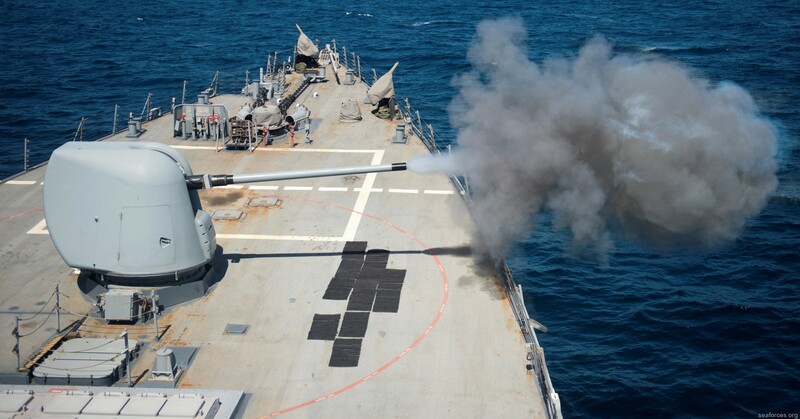 She also undertook counter-piracy missions in the Gulf of Aden. 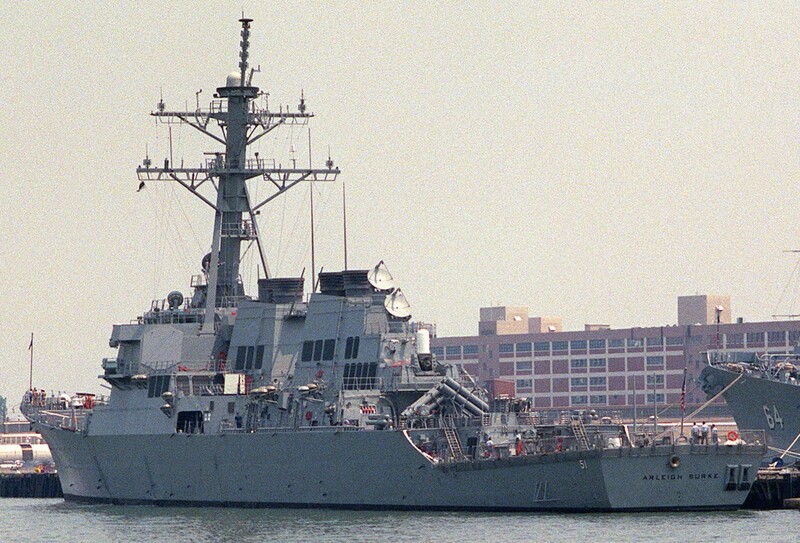 This cruise, which lasted from January through June 2003, saw Arleigh Burke at sea over 92 percent of the time. 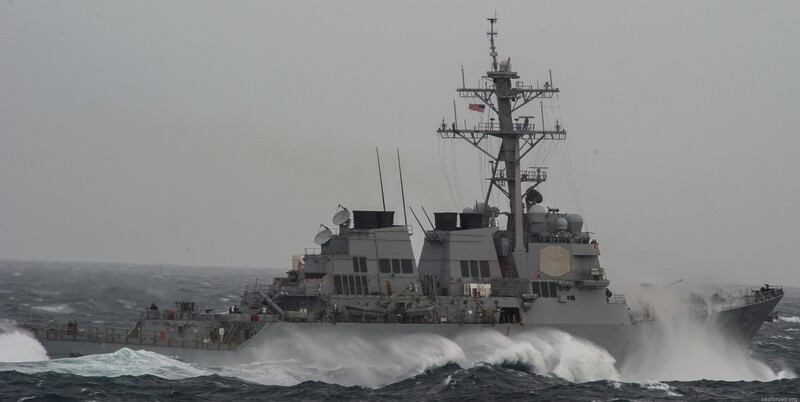 In March 2003 she was assigned to Destroyer Squadron 2. 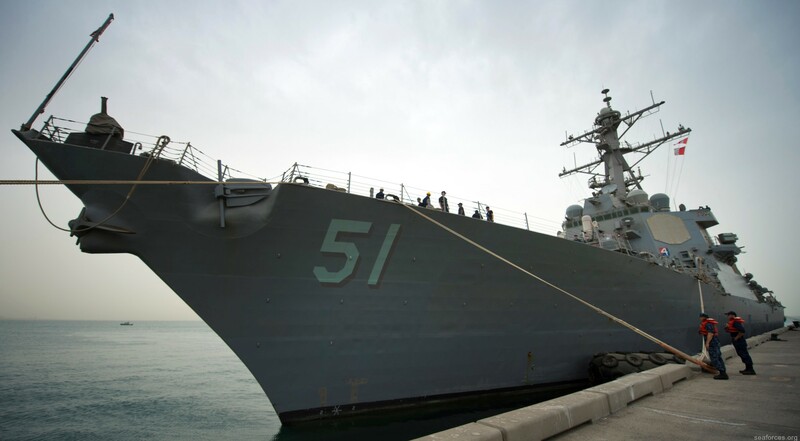 Arleigh Burke has earned one Navy Unit Commendation, three Meritorious Unit Commendations, three Battle Efficiency E Awards, the National Defense Service Medal, the Armed Forces Expeditionary Medal, the Kuwait Liberation Medal, and five Sea Service Deployment Ribbons. 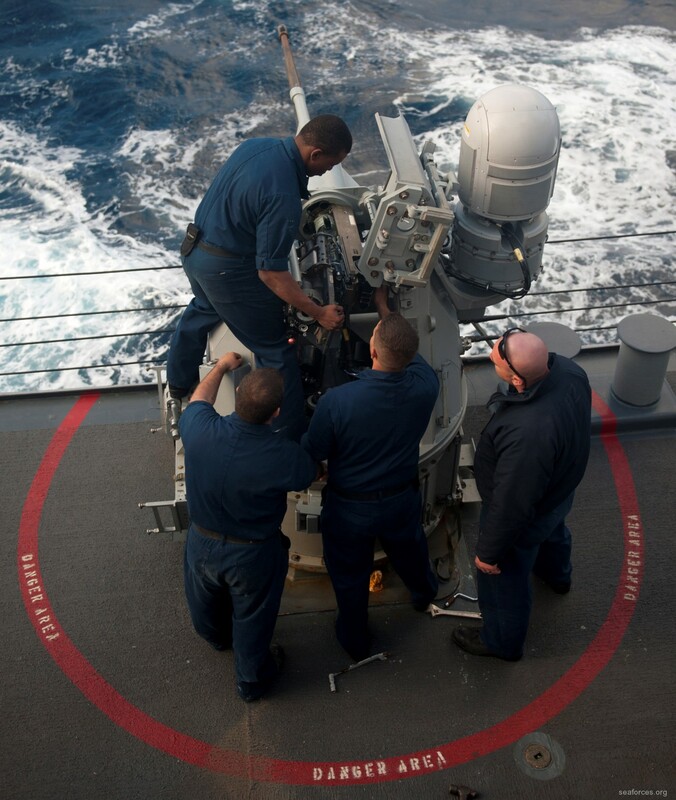 As a member of Destroyer Squadron 22, Arleigh Burke operated with the USS George H.W. 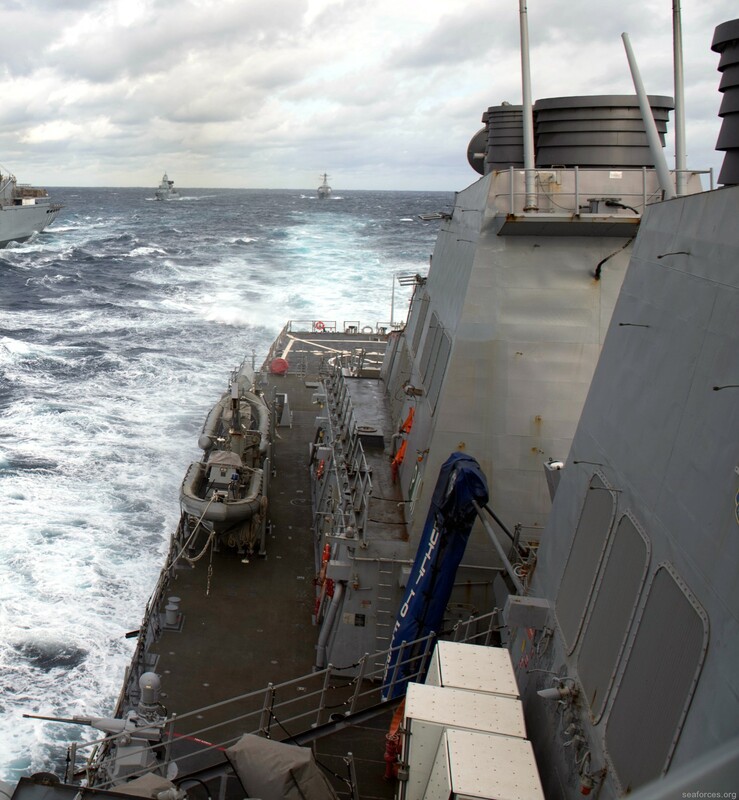 Bush Carrier Strike Group under the direction of the Commander, Carrier Group 2. 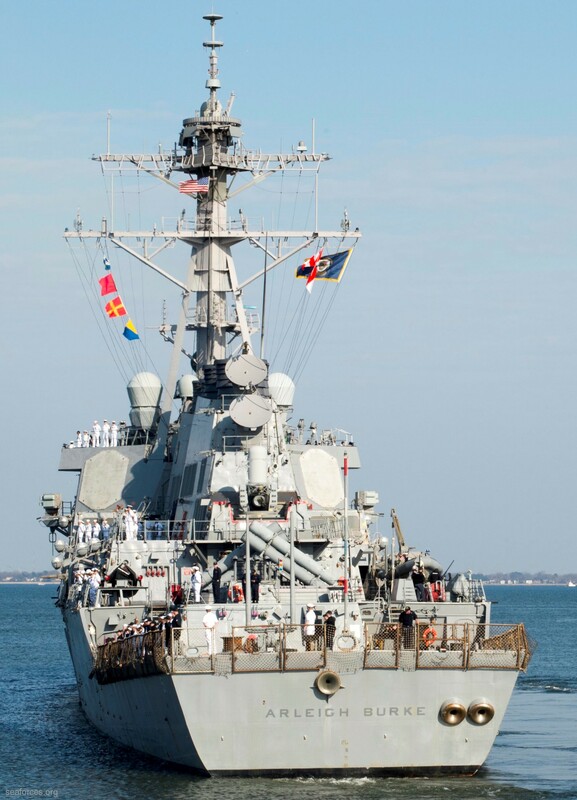 In May 2007, Arleigh Burke ran what the Navy called a "soft aground" off Cape Henry Light at the entrance to the Chesapeake Bay. 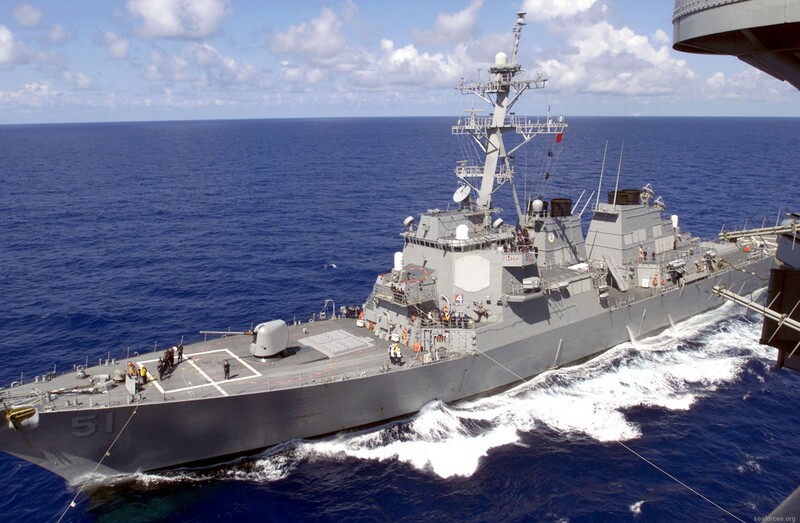 Her captain, Commander Esther J. McClure, was relieved of her command shortly thereafter as a result of "loss of confidence in her ability to command". 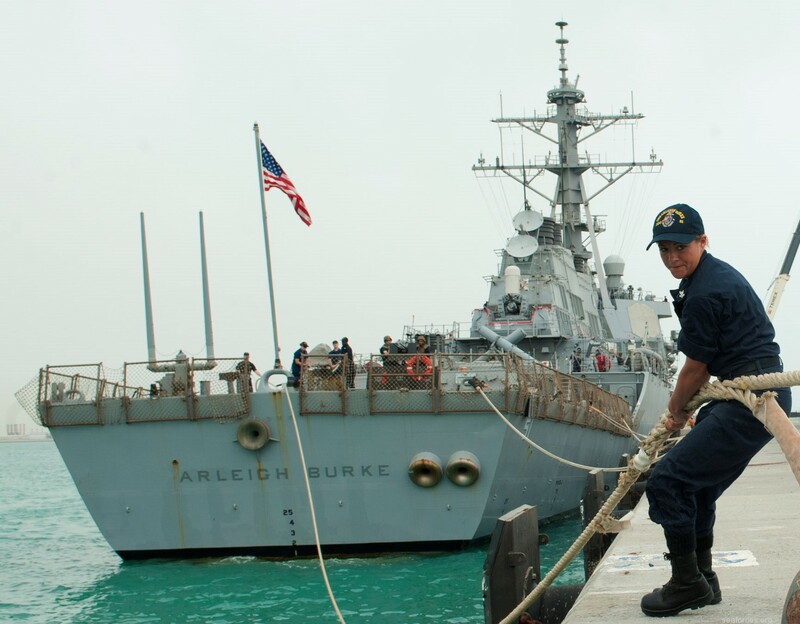 In October 2007, Arleigh Burke was involved in anti-pirate operations in 2007 in Somalia. 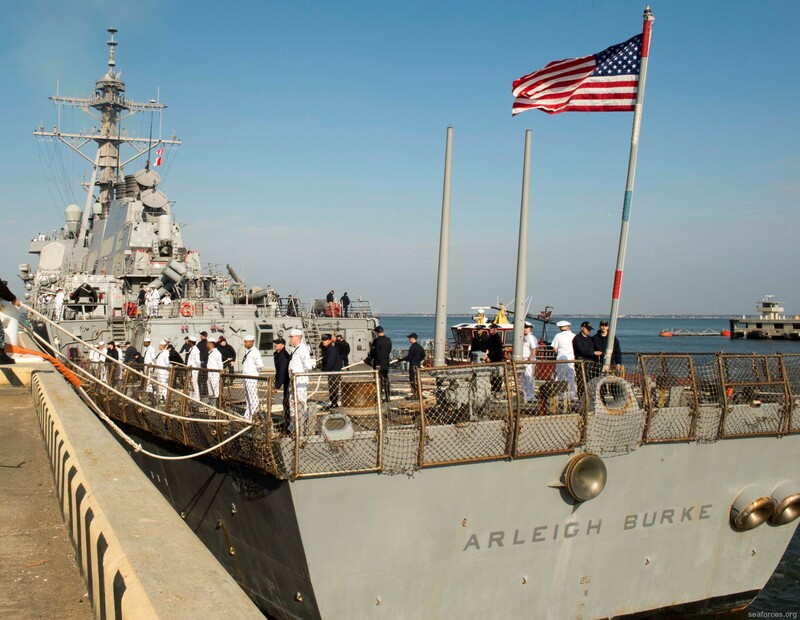 In 2009, Arleigh Burke was deployed to the eastern coast of Africa in support of AFRICOM's Africa Partnership Station. 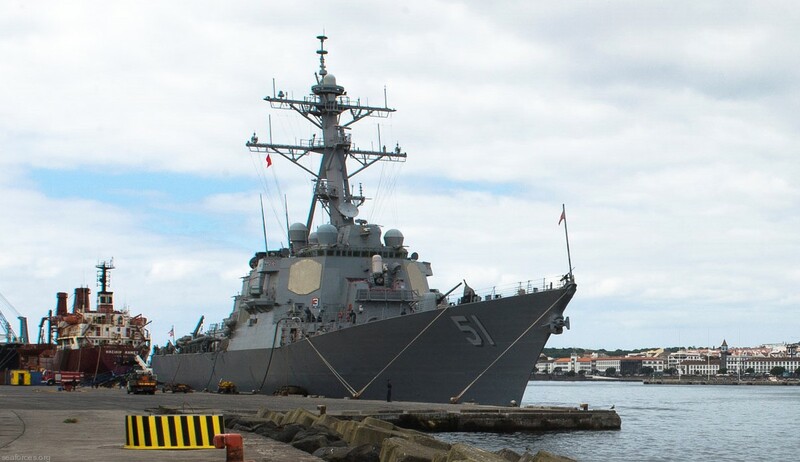 The ship represented the United States during a port visit on the island nation of Seychelles where they played a role in securing a status of forces agreement between the two countries. 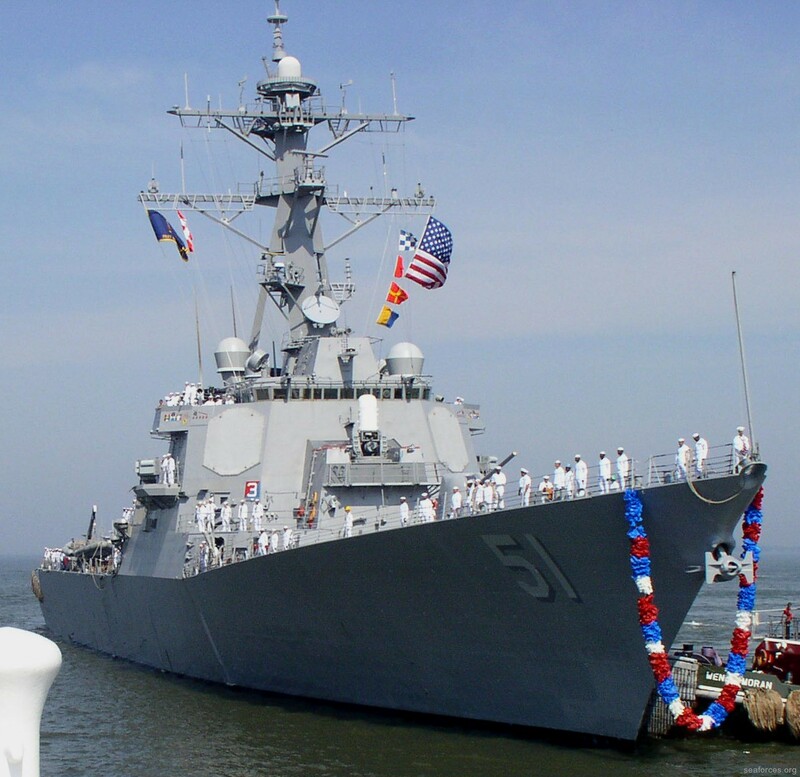 In August 2010, Arleigh Burke entered the BAE Systems Ship Repair shipyard in Norfolk, Virginia for DDG Modernization, a program to upgrade the ship's systems and to extend the service life to 40 years. 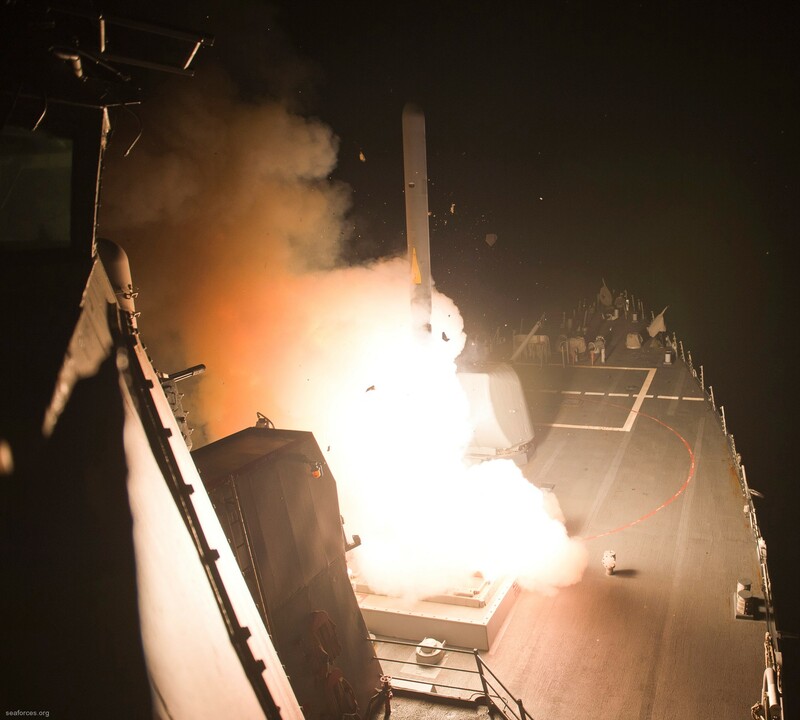 On 23 September 2014 Arleigh Burke took part in the 2014 military intervention against ISIS, firing Tomahawk missiles on targets in Syria while the ship was in the Red Sea. Arleigh Albert Burke, the grandson of a Swedish immigrant, was born on a farm in the foothills of the Rocky Mountains near Boulder, Colorado on 19 October 1901, the first of six children. He attended a one room elementary school through the eighth grade and then high school in Boulder. 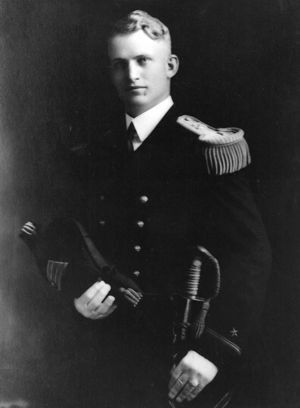 Deciding early that farming fitted neither his talents nor desires, he sought and received a congressional appointment to the US Naval Academy. 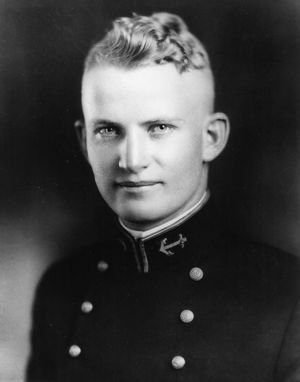 He entered the Naval Academy in June 1919 and graduated on 7 June 1923, standing 71 in a class of 413. 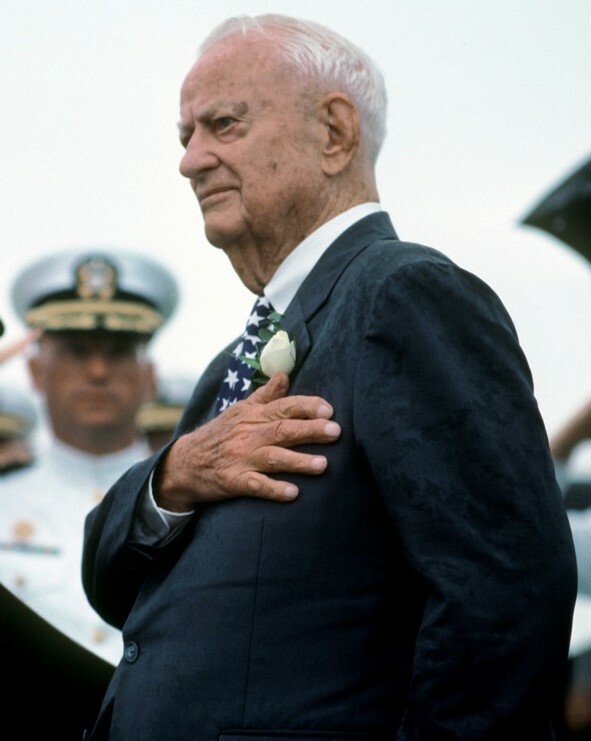 On the afternoon of Graduation Day, he was married in the Naval Academy Chapel to Roberta Gorsuch of Washington, D.C. who became his beloved wife, his best friend and lifelong companion, and, at age 97, his only survivor. 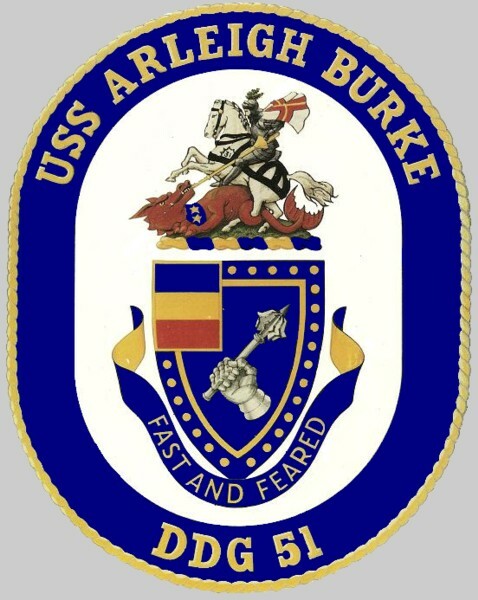 Following graduation Burke served in the battleship USS ARIZONA (BB-39) for five years. 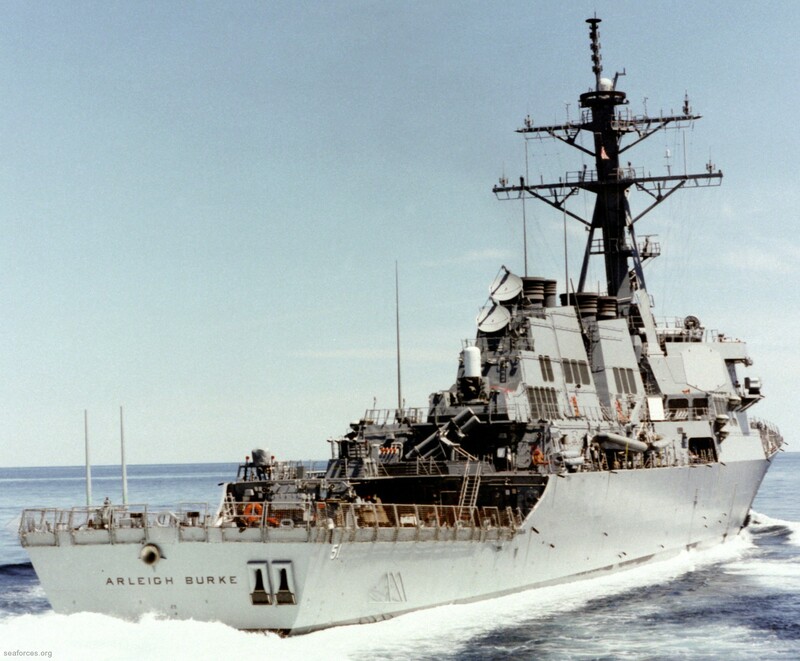 Thereafter, he served afloat in fleet auxiliary USS PROCYON (AG-11), heavy cruiser USS CHESTER (CA-27), fleet auxiliary USS ANTARES and fleet auxiliary USS ARGONNE. 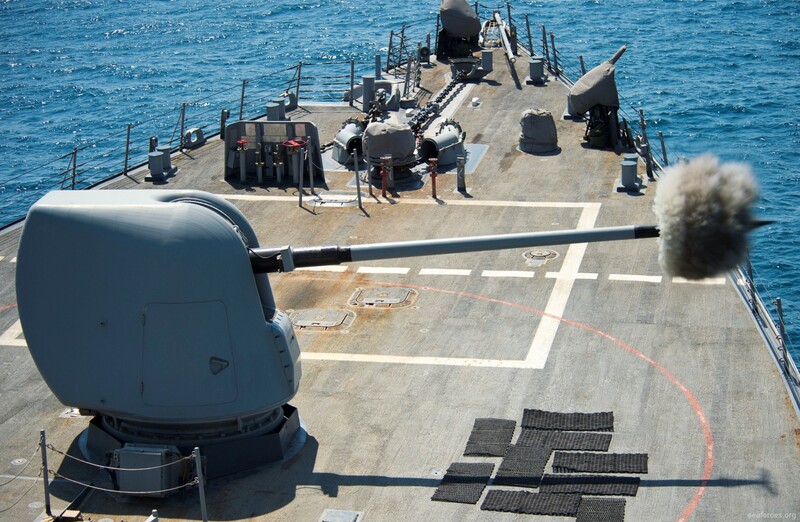 Ashore he completed postgraduate study in Ordnance Engineering and served two tours in the Bureau of Ordnance. 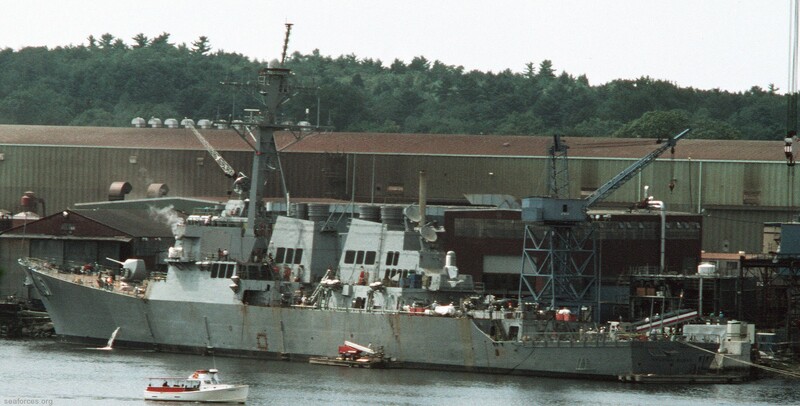 In June 1937, he was ordered to his first destroyer as prospective Executive Officer of USS CRAVEN (DD-382), under construction in Boston Navy Yard. In August 1938 - early in his sixteenth year of commissioned service - he was promoted to Lieutenant Commander and in June 1939 took command of USS MUGFORD (DD-389), sister ship to CRAVEN. 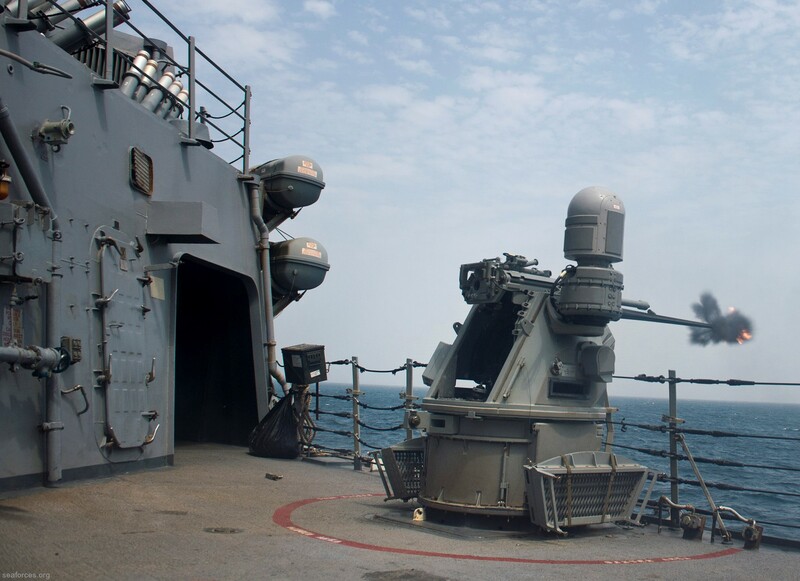 During his tour, MUGFORD excelled in gunnery and participated in the development of high speed night gunnery and torpedo attack tactics. 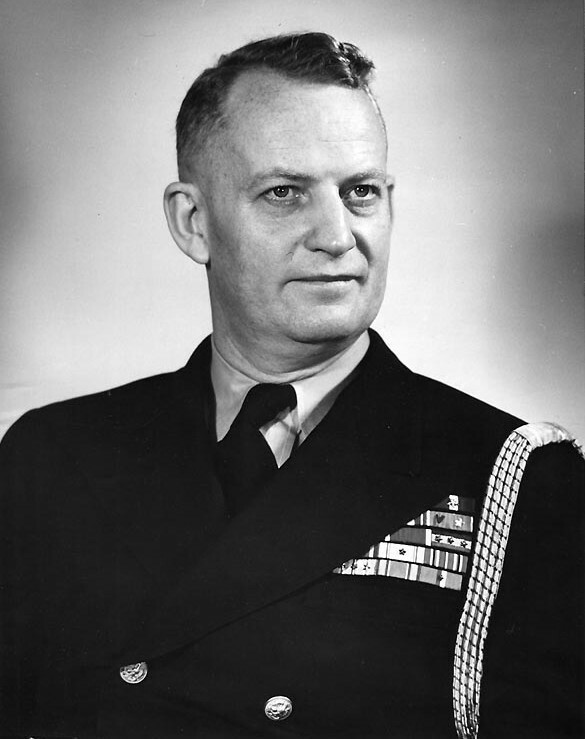 After little more than a year in command, Burke was relieved and reassigned to the Naval Gun Factory in Washington, D.C. and was there when the Japanese attacked Pearl Harbor. Despite his persistent requests for sea duty, he remained there until the end of 1942. 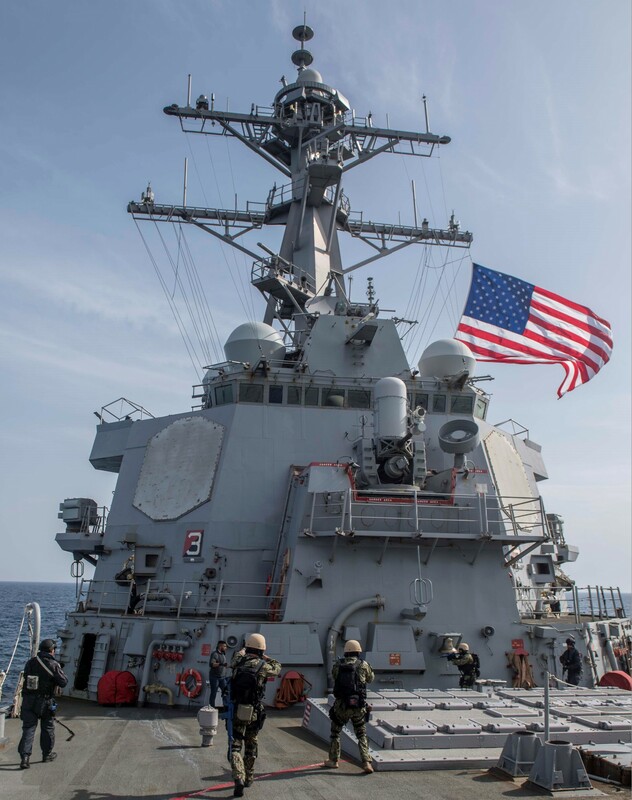 In January 1943, he was awarded command of DESTROYER DIVISION 43 and hoisted his flag in USS WALLER (DD-466) which, in March 1943, blew up a Japanese destroyer in the Central Solomons. 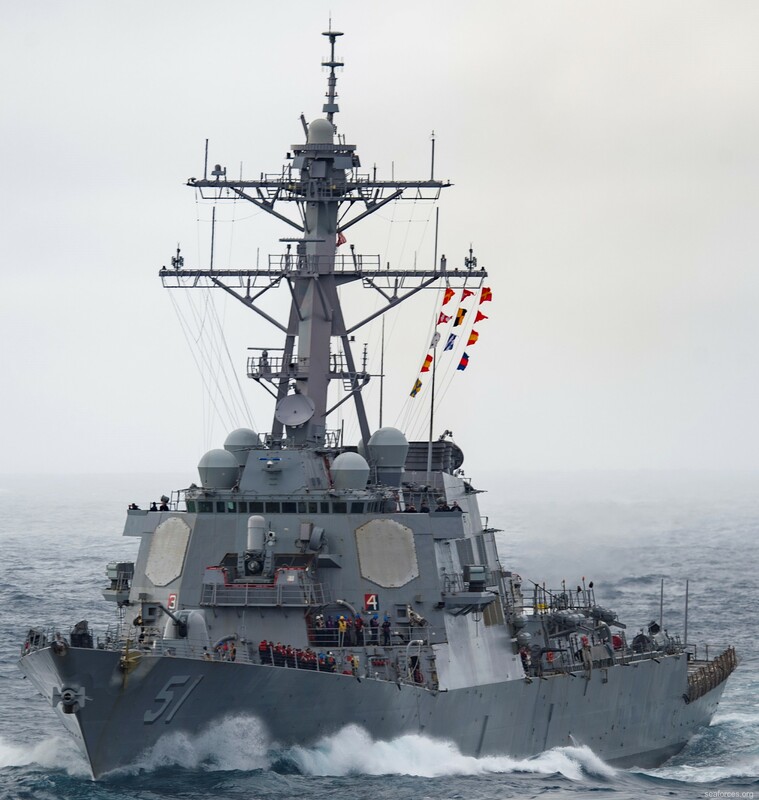 In May, he shifted to command of DESTROYER DIVISION 44, flagship USS CONWAY (DD-507), where he received wounds while escorting convoys in the Solomons. 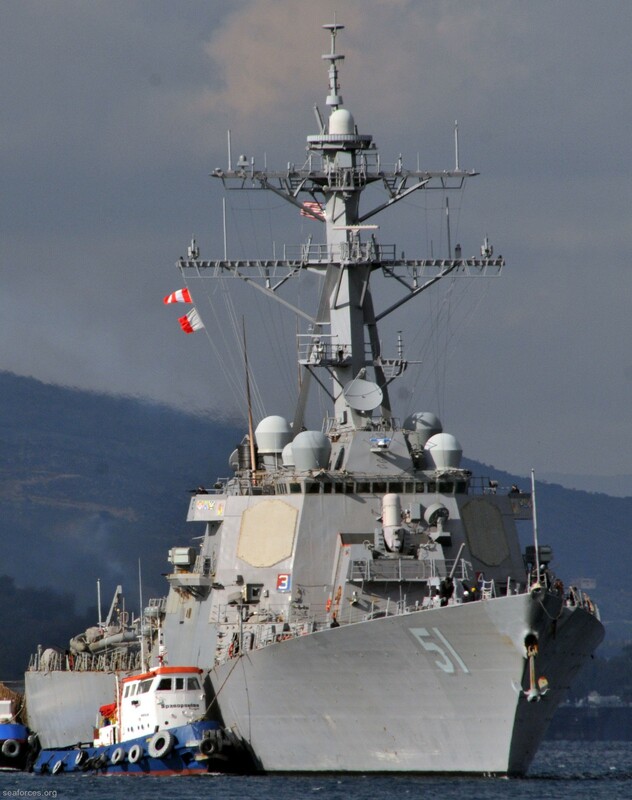 Captain Burke took over DESTROYER SQUADRON 12 in August 1943 and DESTROYER SQUADRON 23 (Little Beavers) in October. 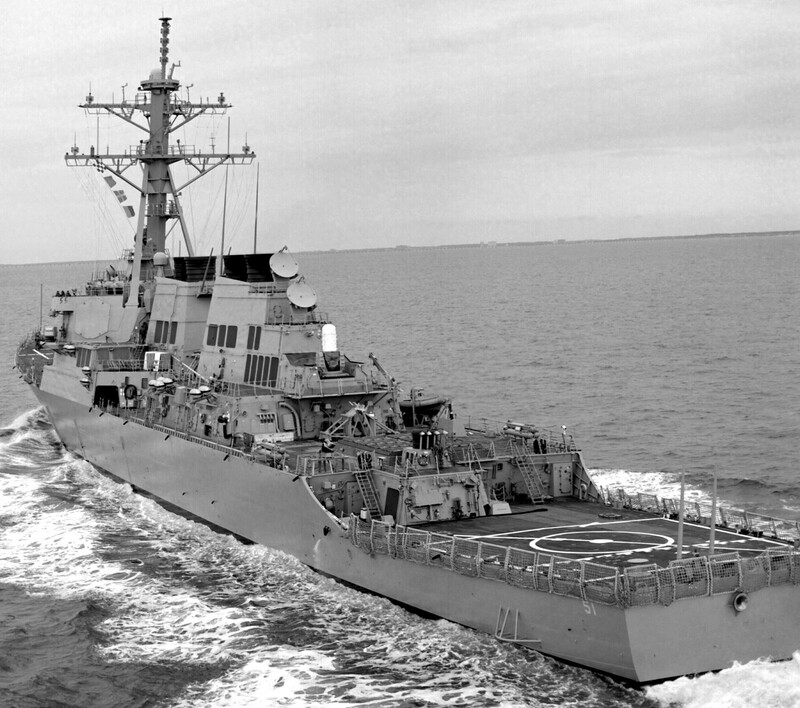 In addition Burke commanded one of the squadron's two divisions, DESTROYER DIVISION 45, with his flag in USS CHARLES AUSBURNE (DD-570). In October, Burke was detached from DESRON TWELVE and ordered to command DESRON TWENTY THREE. 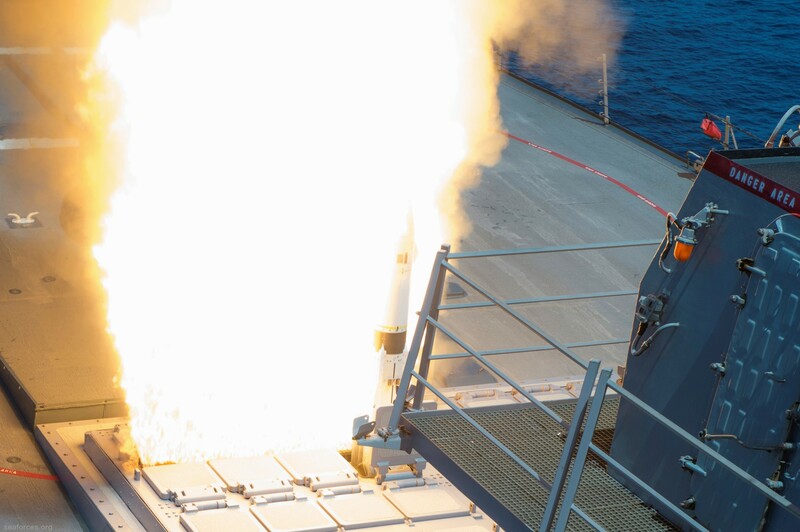 During the next four months the squadron participated in 22 separate engagements and destroyed one Japanese cruiser, nine destroyers, one submarine, several smaller ships and approximately 30 aircraft. 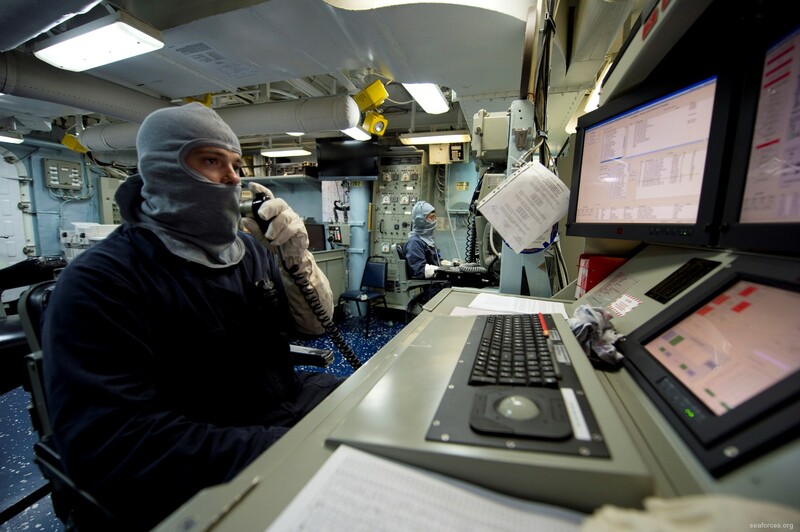 Between operations the U.S. surface combatants exercised at night high speed tactics, where, thus far, the Japanese had excelled. Burke was a leader in this effort. 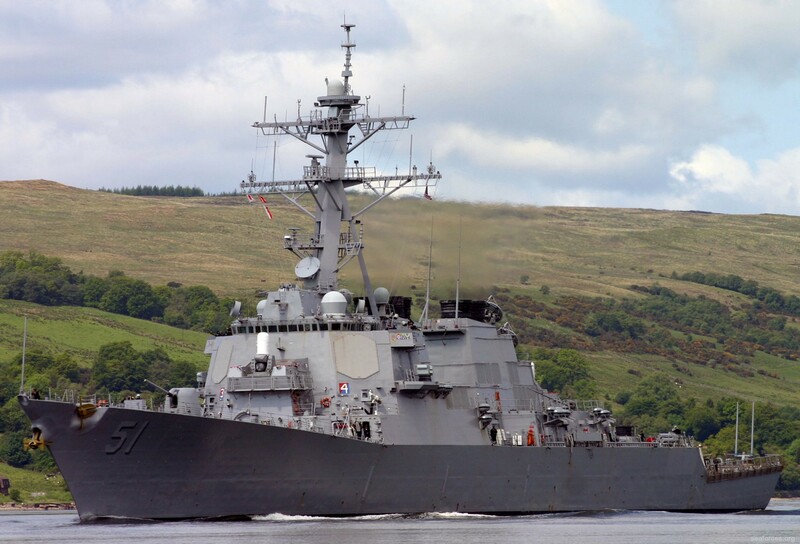 Notable among these actions was the battle of Empress Augusta Bay, Bougainveille, in early November and later that month the Battle of Cape St. George, New Ireland, where Burke led his destroyers in night torpedo attacks on Japanese surface forces. 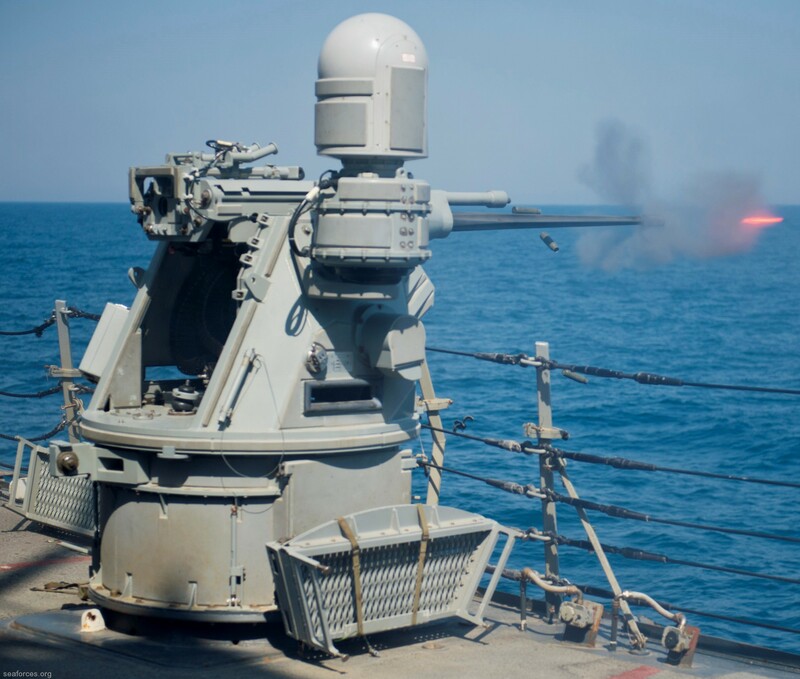 This battle is regarded by many naval historians as the perfect naval engagement. He was awarded the Navy Cross for "extraordinary heroism in operations against an armed enemy" in the Battle of Cape St. George. 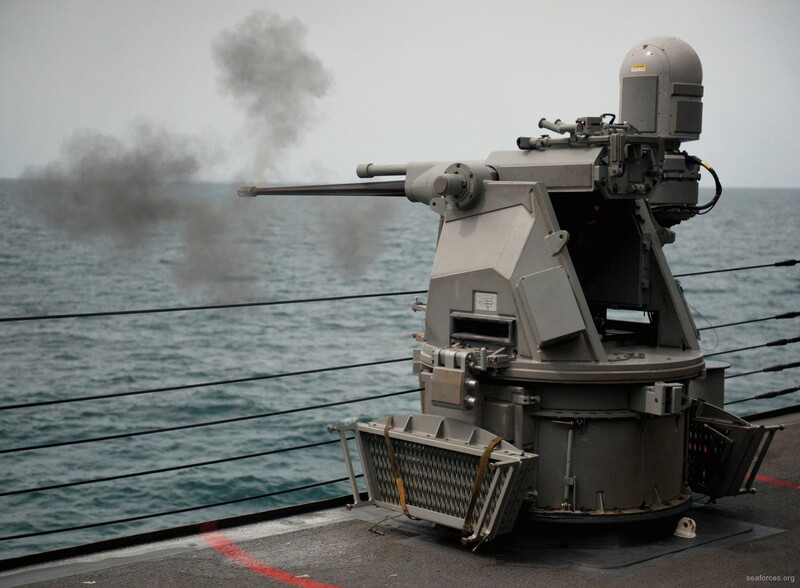 The ships of the time were capable of 34 knots, but while enroute to a rendezvous prior to that battle, a boiler casualty had limited his group's top speed to 30 knots. 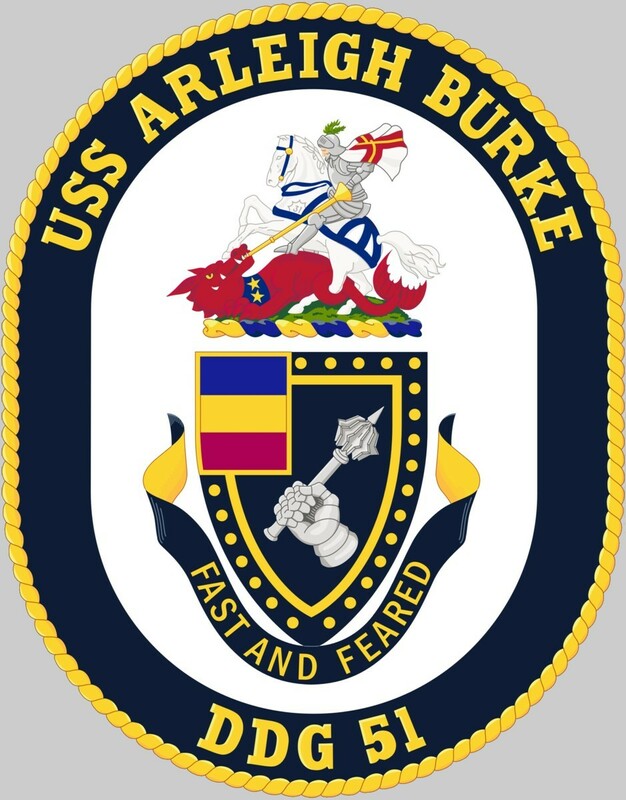 When the fleet commander signalled him to make best speed, they mustered an extra knot and he answered "Proceeding at 31 knots" The response, addressed to "31-knot" Burke was a "rib", but captured the imagination of the press and the public and conveyed the image of a dashing, hard-charging combat commander - an accurate description of Arleigh Burke. Early in the new year the decision was made to bypass Rabaul in favor of the Admiralty Islands, 300 miles farther west. 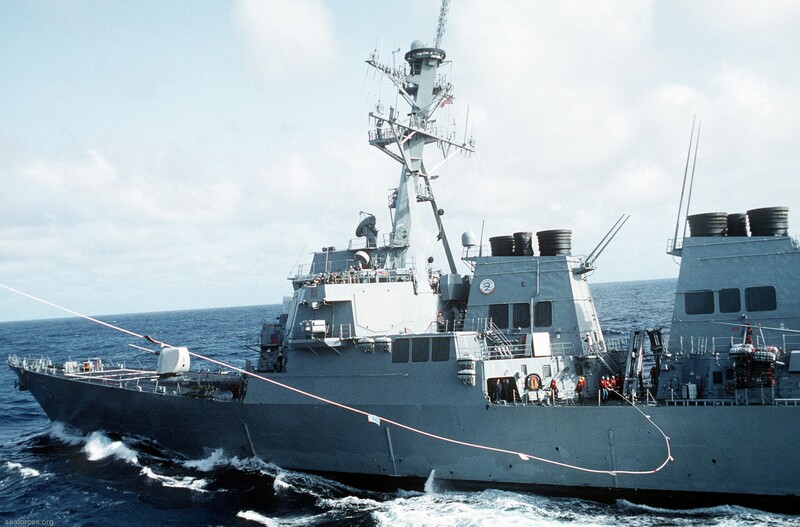 DESRON 23 supported landings at Cape Gloucester, in the Green Islands, and participated in the bombardment of Rabaul and its backup base at Kavieng. On the morning of 22 February, Burke's destroyers sank a large Japanese naval tug and rescued 73 survivors. 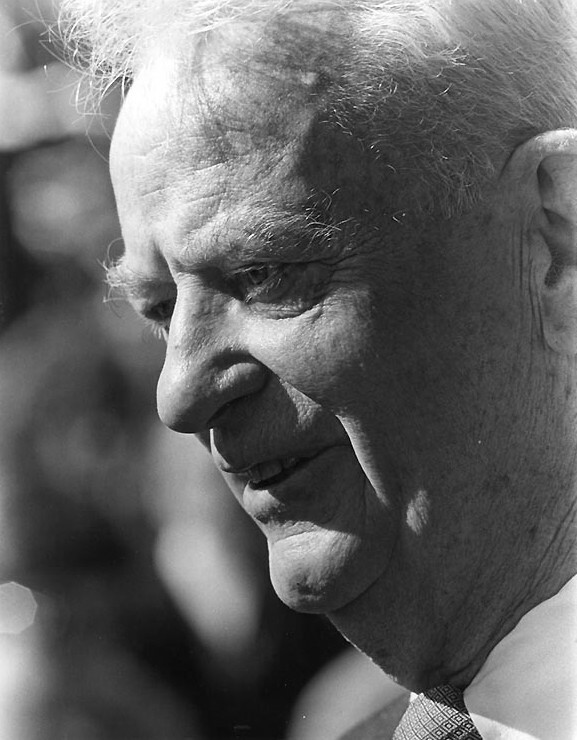 When the captain, who had chosen to fight rather than capitulate, was not among the survivors, Burke ordered a brief prayer service in his honor, an action which gained him great respect in post-war Japan. Burke and Mitscher soon formed an exceptionally close relationship which was to endure throughout the war and into the postwar years. 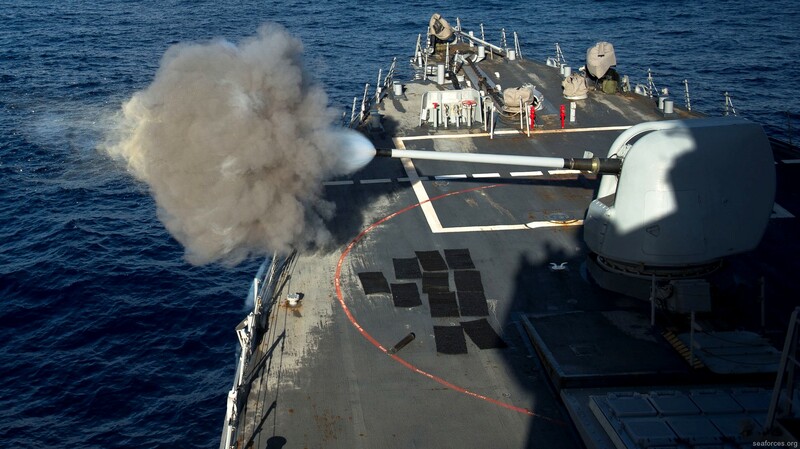 During the next fifteen months, TF 58, with four carrier task groups, roamed the western Pacific, striking enemy airfields, shipping, and industrial facilities in their island strongholds; in the Philippines and on Formosa and Okinawa; and in the Japanese home islands. 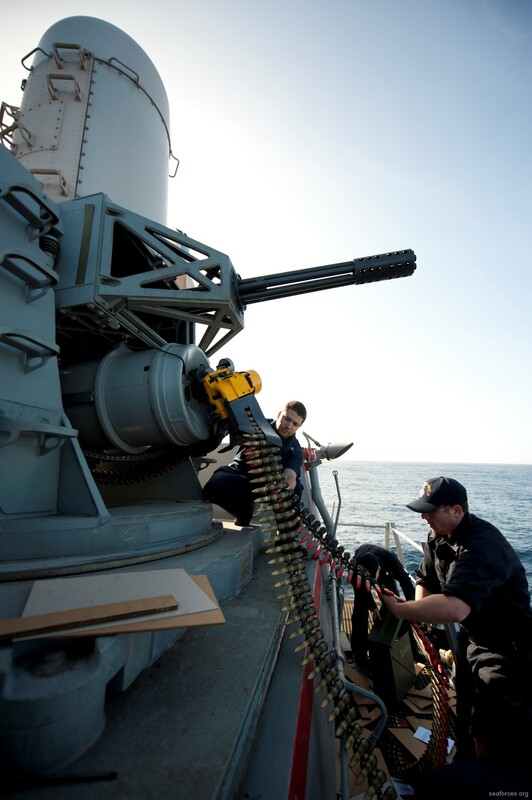 The task force participated in all the major actions of the Pacific war; the assault on the Marianas - Guam, Tinian, and Saipan - in June and the ensuing battle of the Philippine Sea; the return to the Philippines and the battle of Leyte Gulf in October; the invasion of the Carolines and the capture of Iwo Jima in February and March of 1945; and the invasion of Okinawa in April and May. On the morning of 11 May, Mitscher's flagship, USS BUNKER HILL, operating in the vicinity of Okinawa, was hit and grievously damaged by two kamikaze aircraft. Flag spaces, including the flag office and radio central, were hard hit and a large number of the TF 58 staff were killed. Burke led the effort to rescue survivors, helping to drag the wounded and injured men from radio central. Because of the severity of the damage to BUNKER HILL, Mitscher, Burke, and the remainder of the staff transferred to ENTERPRISE. 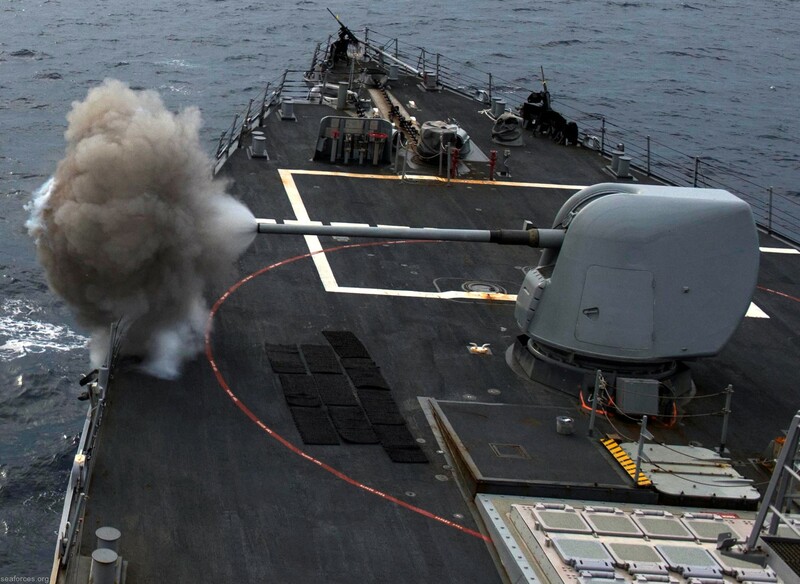 Three days later ENTERPRISE, too, was hit in a kamikaze attack and put out of action. 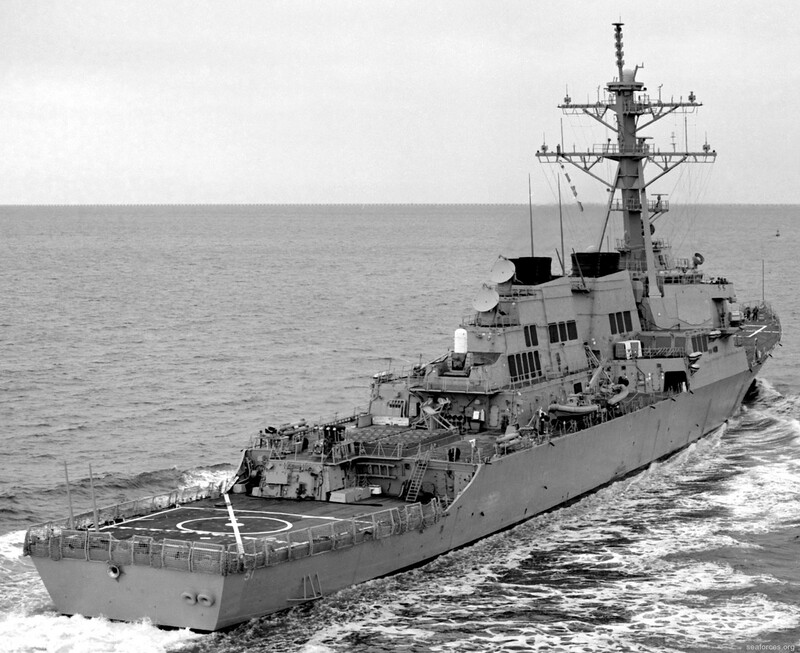 The staff again shifted flagships, this time to USS RANDOLPH. On 28 May 1945, Mitscher, Burke, and the staff of TF 58 were relieved and departed for the United States. For them, combat operations had ended. 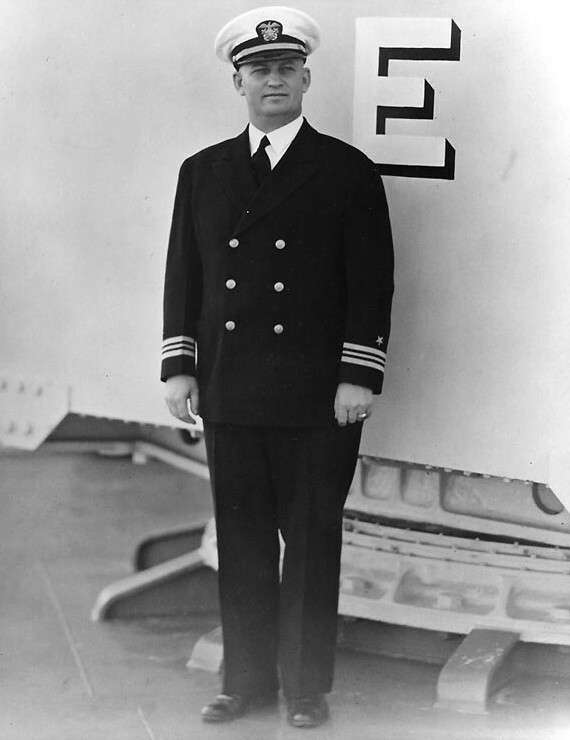 Burke, who had earlier been promoted to the wartime rank of Commodore, reverted to his permanent rank of Captain and was reassigned to the Navy Department in Washington to head a new section for defense against kamikaze attacks. He was there when the war ended. 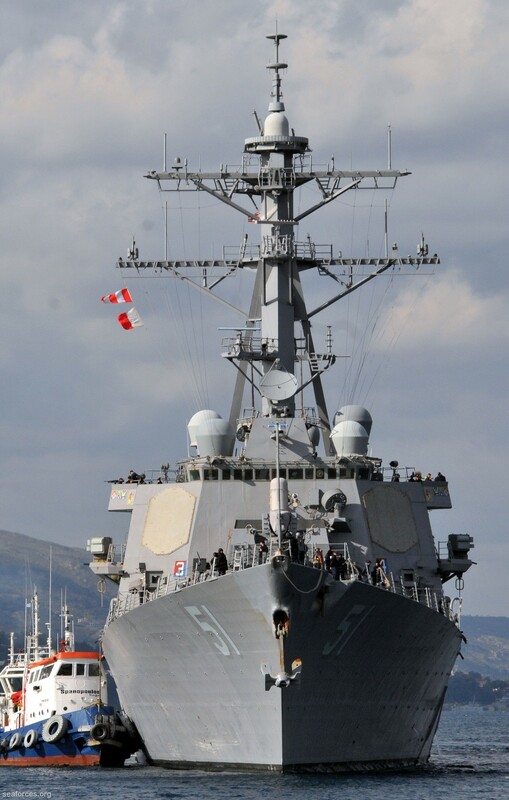 After a brief tour in the Bureau of Ordnance, Burke returned to sea with VADM Mitscher early in 1946 as Chief of Staff of the Eighth Fleet, being formed for Mediterranean duty. In midsummer, plans for deployment of the fleet were placed on hold and Admiral Mitscher was ordered to relieve Admiral Jonas Ingram as CINCLANTFLT which he did in September. 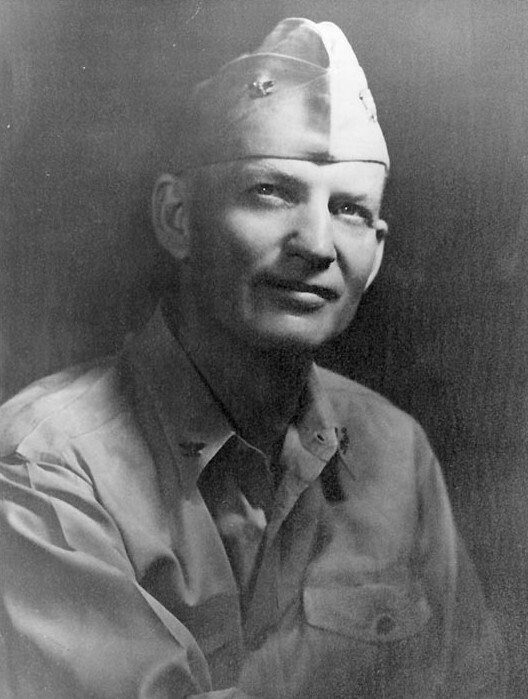 Burke continued to serve as his Chief of Staff until February 1947 when Mitscher, who had been ill throughout much of the war and had never regained his health, suffered a heart attack and died. Thus ended the long, close relationship of two of the great combat leaders of WWII. 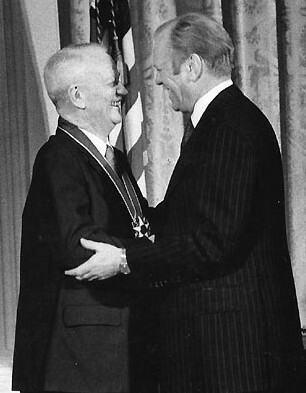 Reassigned to the Navy's General Board in Washington after Mitscher's death, Burke, recognizing that his experience had been limited through necessity to warfighting skills, began a serious effort to broaden his understanding and knowledge of history, economics, science, politics, and international relations. 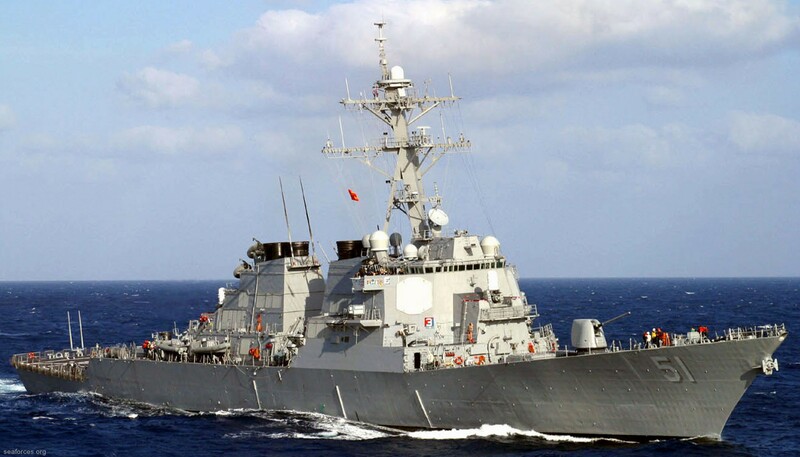 He foresaw a need to study and define the future national security interests of the United States and the role of the Navy in pursuing those interests. This eventually led to a comprehensive paper, completed in mid-1948, entitled "National Security and Naval Contributions for the Next Ten Years." 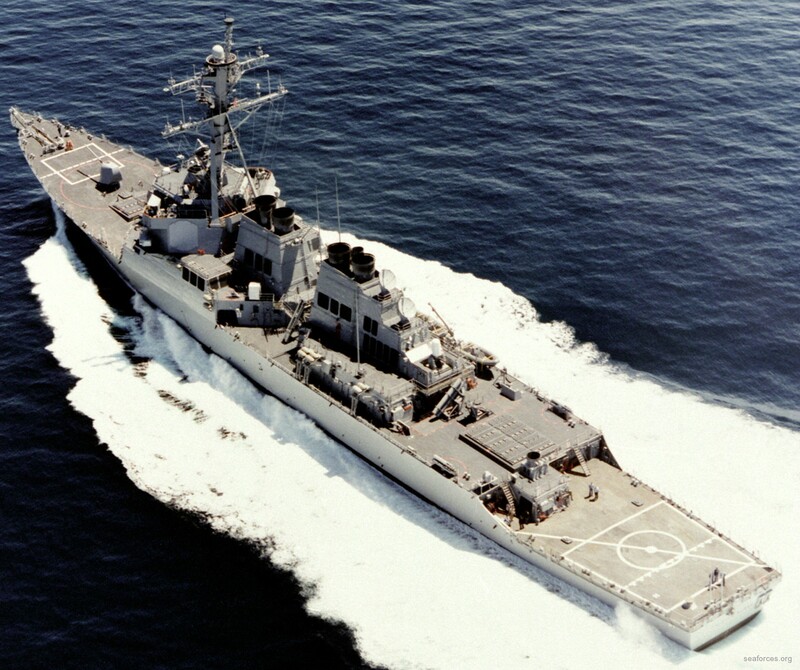 The paper, as such, had little impact but it contributed mightily to the development of Arleigh Burke as a strategic thinker and to his reputation. 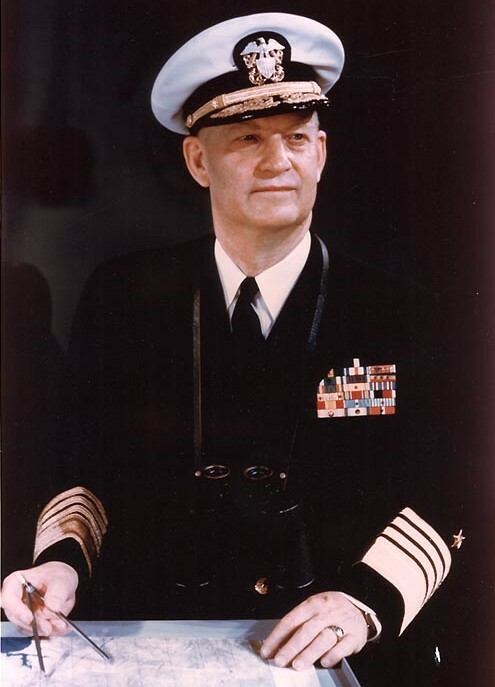 In July 1948, Burke took command of the light cruiser, USS HUNTINGTON, then deployed to the Sixth Fleet. 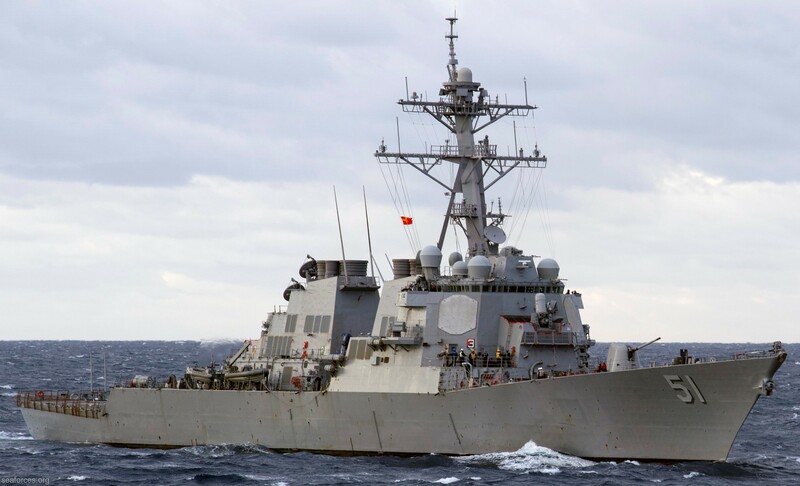 After fewer than six months in command, he received an unexpected set of orders to report immediately to the staff of the Chief of Naval Operations in Washington to head the OPNAV section which dealt with matters concerning unification of the armed services. There he became a key player in what was to become known as "the revolt of the Admirals." A primary issue was the strategic role and relative capability of the Air Force B-36 bomber vis-à-vis the Navy's proposed supercarrier. 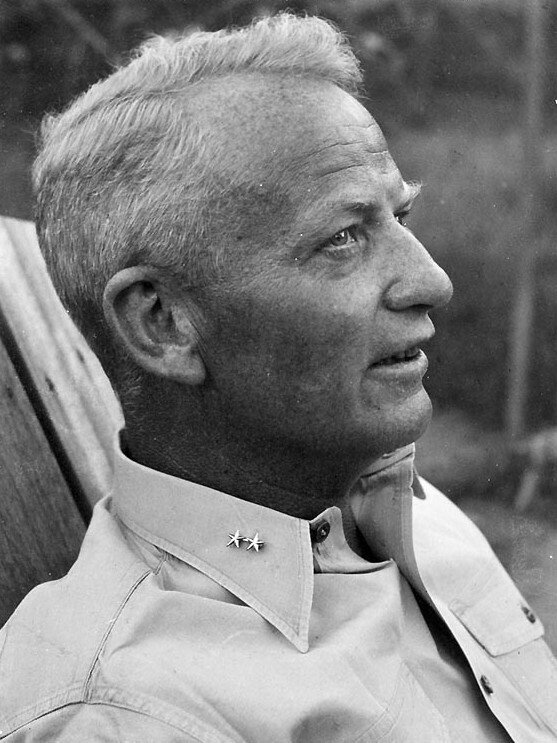 In hearings before the House Armed Services Committee in October 1949, Secretary of the Navy Mathews led off by supporting Secretary of Defense Louis Johnson's position favoring the B-36 and relegating Navy aviation to a secondary role. 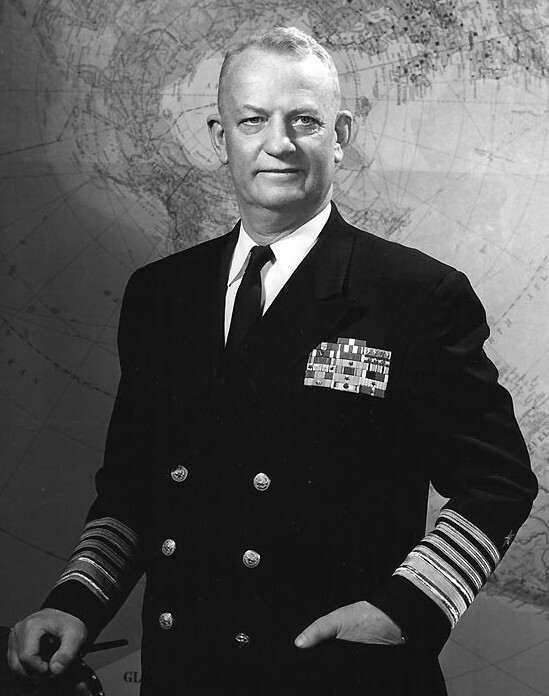 He was followed by CINCPACFLT, Admiral Arthur Radford; by the naval leaders of WWII - King, Nimitz, Halsey, Spruance and others including Burke; and by the CNO, Admiral Louis Denfield. 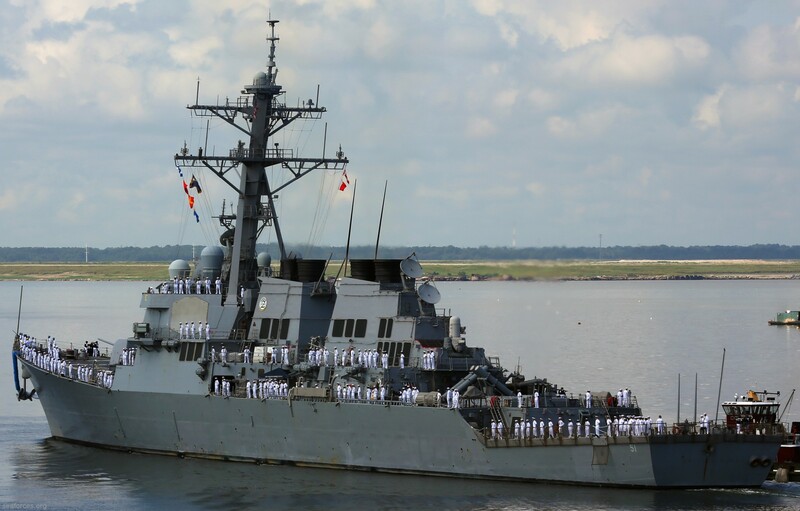 The naval officers uniformly took issue with the SECDEF and SECNAV position. 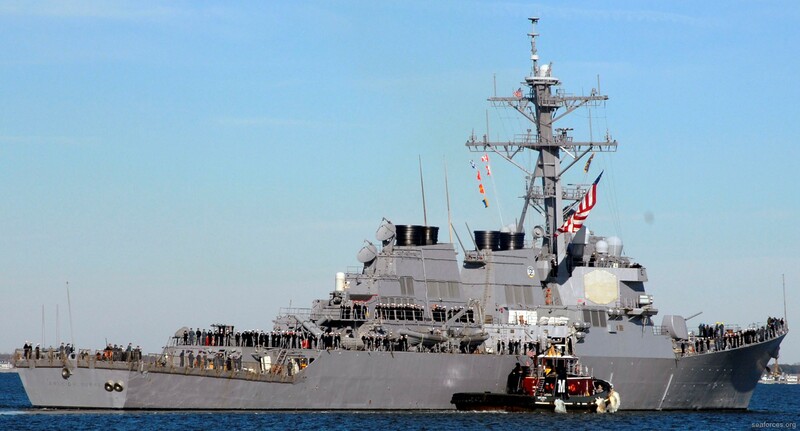 (Burke and his small staff had been instrumental in orchestrating the Navy position.) 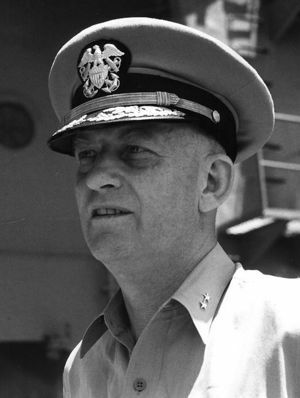 Following the hearings, Secretary Mathews forced Admiral Denfield into retirement prior to completion of his term and attempted to remove Burke's name from the promotion list to Rear Admiral. This latter action was over-ruled by President Truman. The Committee Report of 1 March 1950 offered no opinion on the B-36/aircraft carrier dispute and concluded that the government should accept the advice of the military professionals of each service regarding weapons. 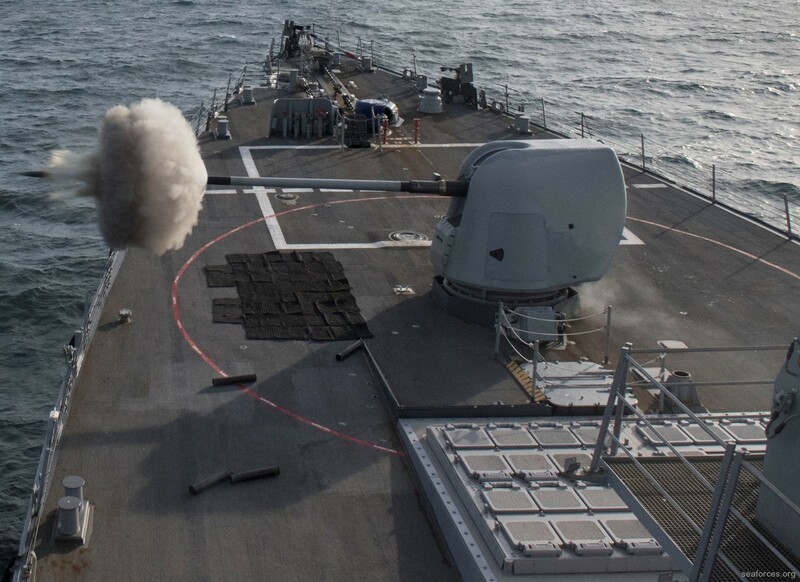 By the time the Committee report was issued the new CNO, Admiral Forrest Sherman, had disbanded Burke's OPNAV office and Burke had been reassigned as the Navy representative on the Defense Research and Development Board. He was promoted to Rear Admiral on 15 July 1950 and in August ordered to the staff of Commander, Naval Forces Far East as Deputy Chief of Staff. 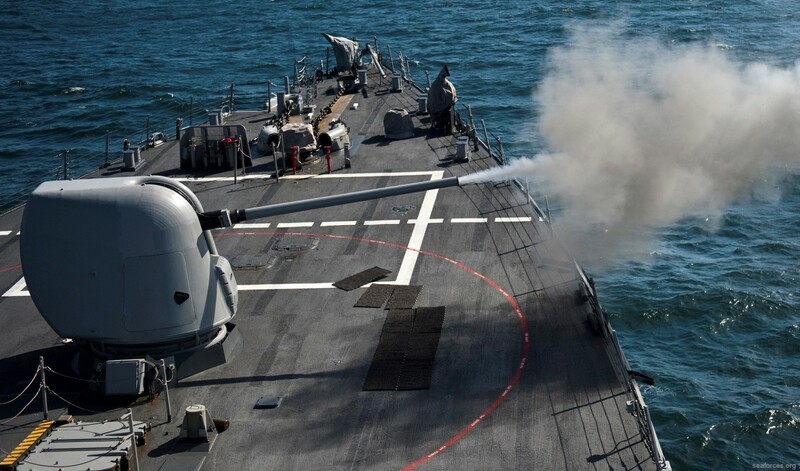 The Korean War was, by then, in its third month and there was an urgent need for a senior officer with warfighting experience on the staff (as well as for a trusted emissary who could, and would, report directly to Admiral Sherman on the conduct of operations. 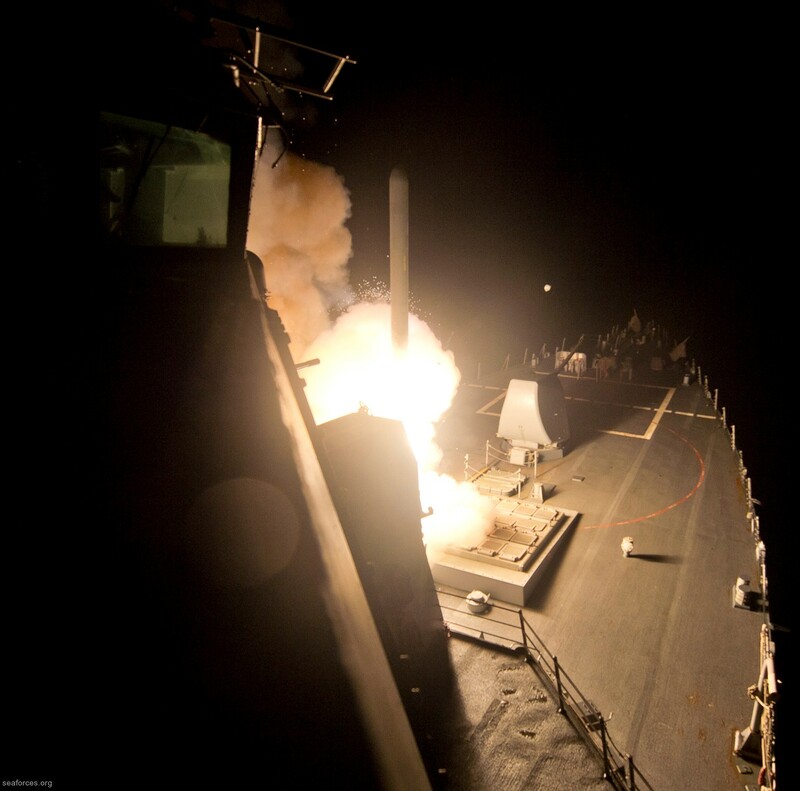 Burke did this, but with the full knowledge of VADM Joy, COMNAVFE.) 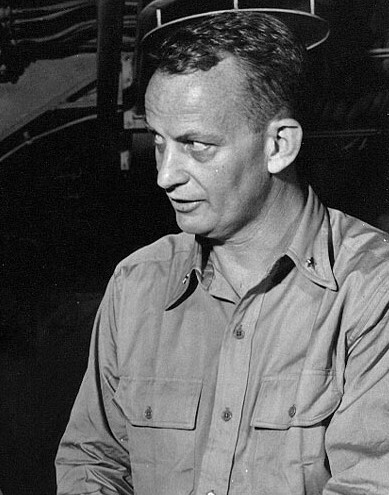 Burke arrived on station just in time to participate in the planning for the Inchon landing and for support of the subsequent drive north to the Chinese border. The UN offensive ended in November when the Red Chinese armies crossed the Yalu River and drove the allied forces back down the peninsula. The battle line eventually stabilized in mid-January just south of Seoul. 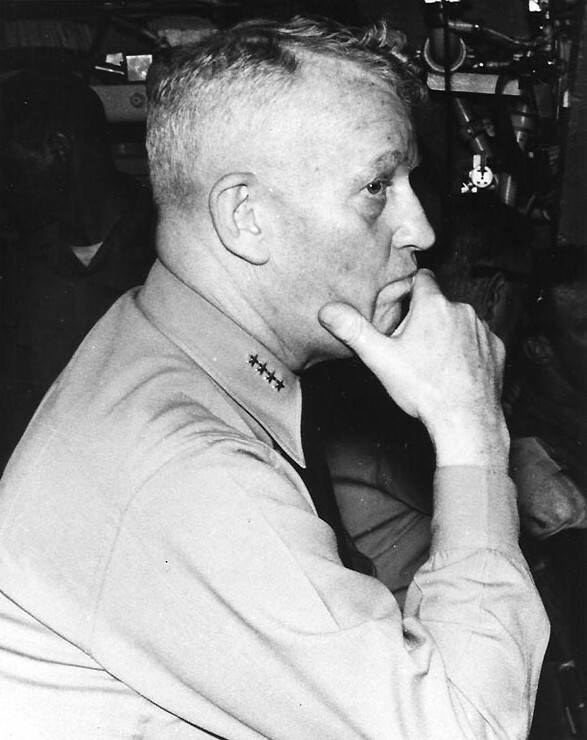 After a brief sojourn in command of Cruiser Division FIVE, Burke was again ordered to Korea on "temporary duty" to join the UN team, headed by VADM Joy, appointed to negotiate an armistice with the North Koreans. He remained in this assignment as one of the two principal negotiators for the UN until a cease fire line was established in November. 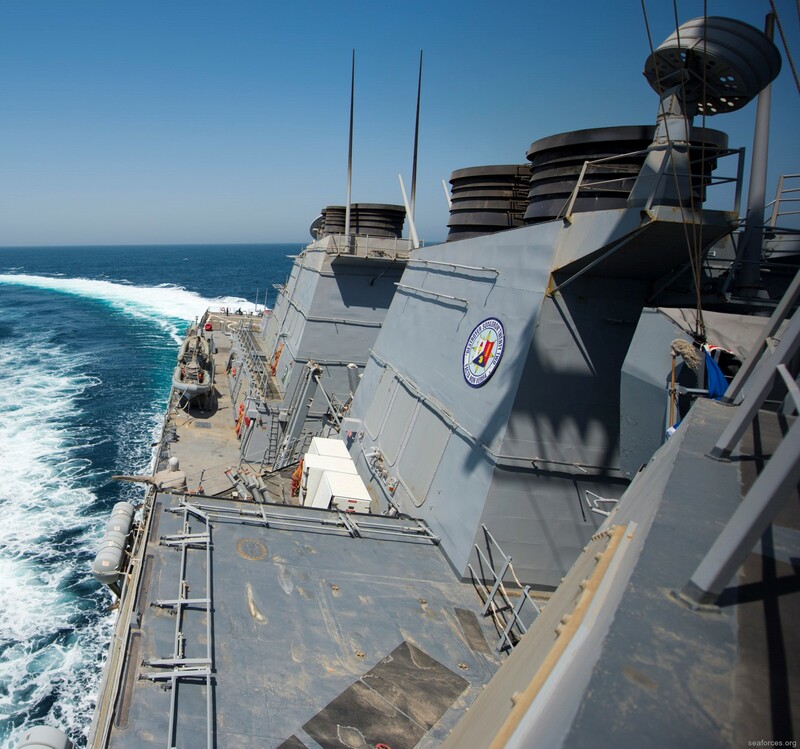 Returning to Washington, Burke assumed duty as Director of the Strategic Plans Division in OPNAV. 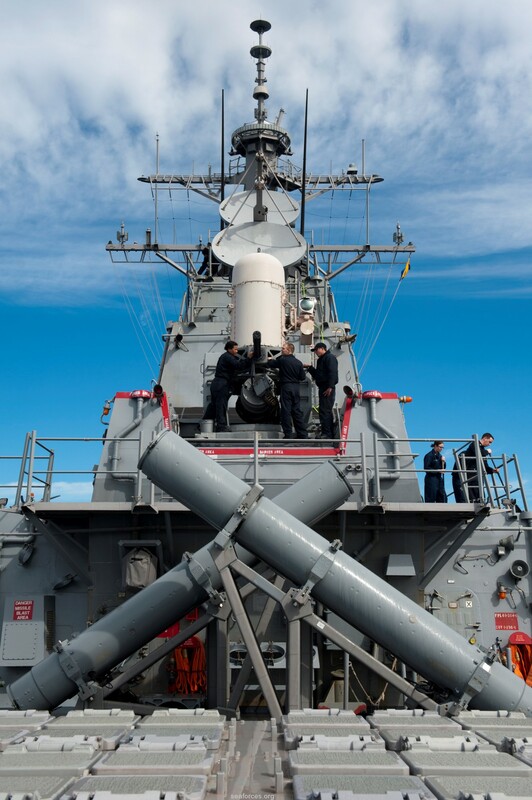 Following the inauguration of President Eisenhower in January 1953 and the introduction of the "New Look" defense policy, Burke was again called upon to define and defend the Navy's roles, missions, and command structure and philosophy. He remained until March 1954, when he was relieved and reassigned as Commander, Cruiser Division SIX. 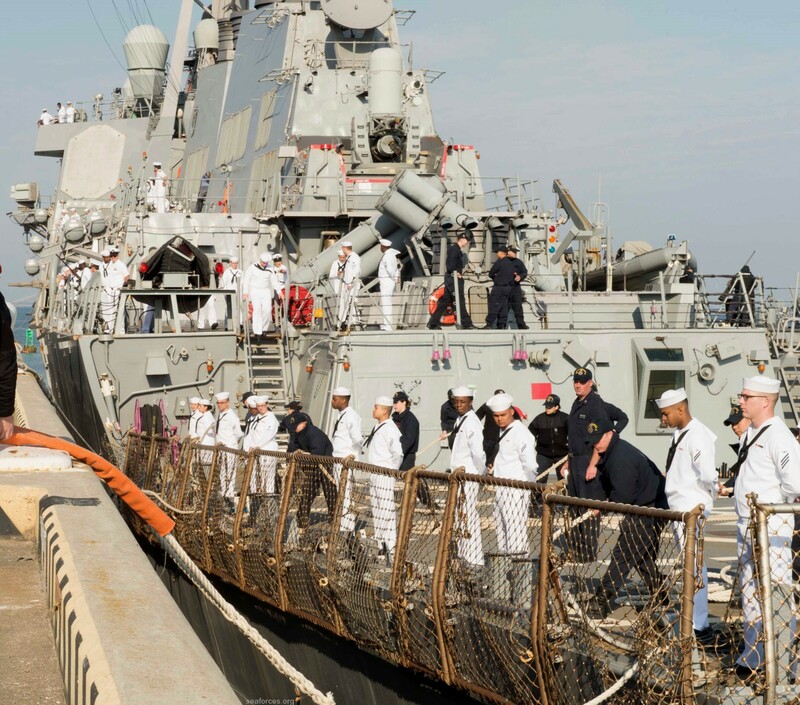 He was there for the rest of the year until ordered to duty as Commander Destroyer Force, U.S. Atlantic Fleet (COMDESLANT). 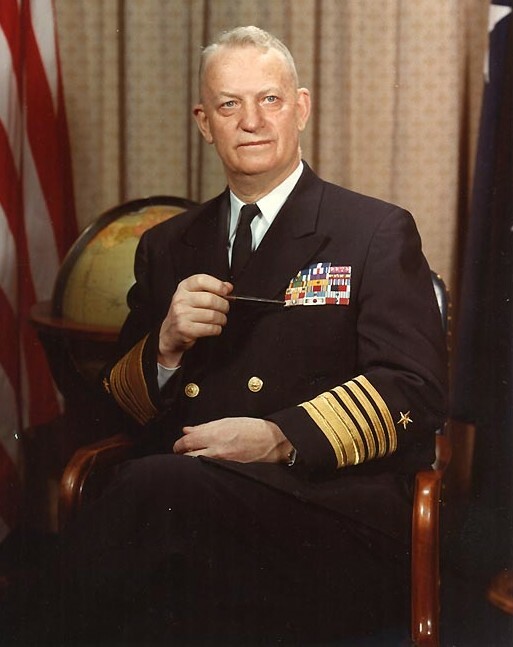 Four months later in May 1955, he was selected over 99 officers senior to him - every four and three star officer in the Navy and a number of senior two star officers - to relieve Admiral Robert Carney as the Chief of Naval Operations. 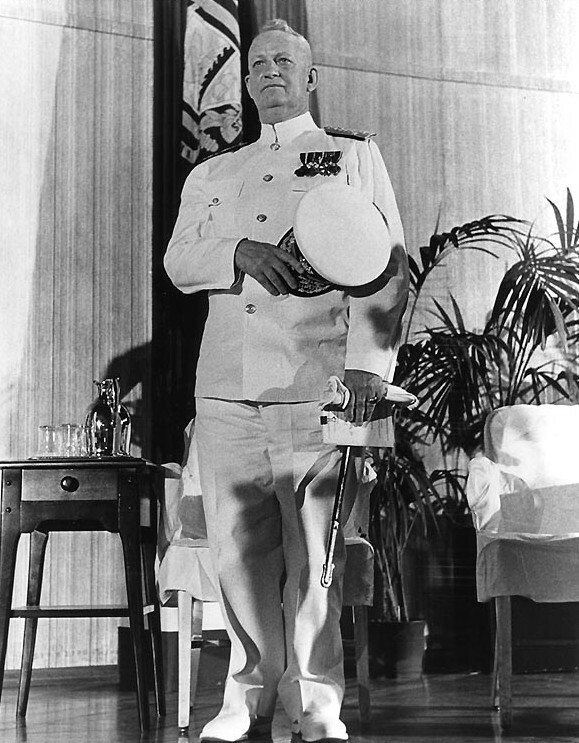 Upon becoming CNO on 17 August 1955, Admiral Burke could look back upon a naval career of 32 years in which he had served his apprenticeship at sea, completed postgraduate study and acquired technical expertise in shore assignments, demonstrated brilliance and achieved fame as a wartime commander, gained broad experience in the application of military power and, through self-study, in the wider fields of history, economics, politics, and national security affairs. He was a tough taskmaster who insisted on the best efforts of his people and was intolerant of laxity and poor work. He worked extraordinarily long hours and demanded the same from his staff. He believed that an overworked staff was more productive than one that worked routine hours. He was modest, however, about his own achievements and loyal to his associates. One of his greatest attributes was his ability to set clear objectives and goals and then allow his subordinates leeway to achieve them without interference or undue supervision. 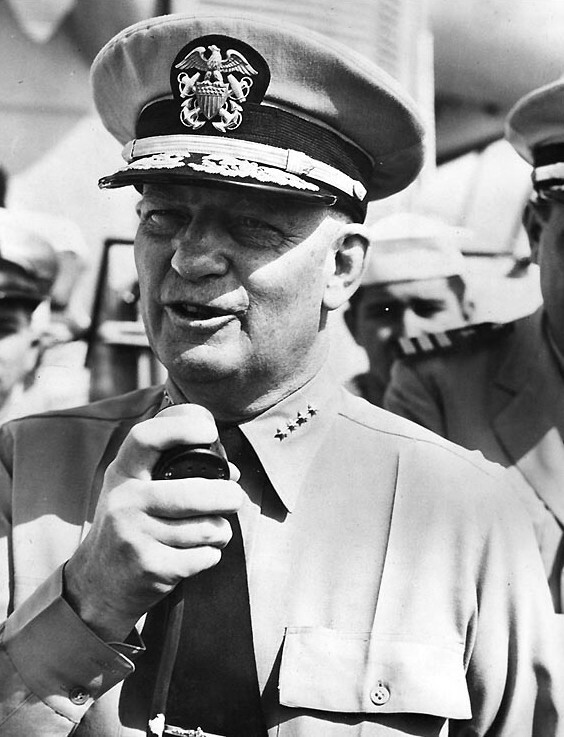 He was well and thoroughly prepared to lead the Navy. 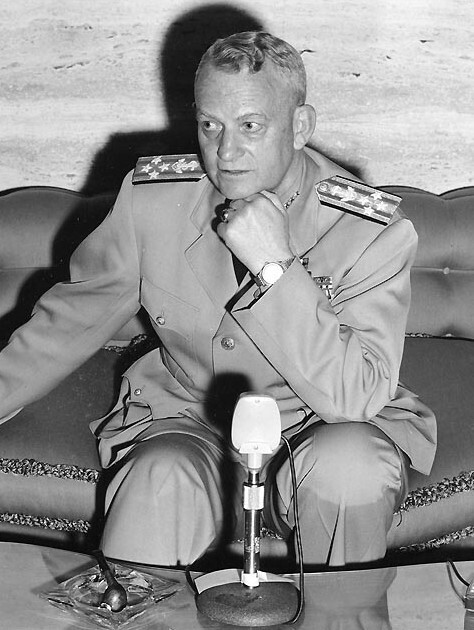 He was reappointed to a second two year term in 1957, a third in 1959, and declined a fourth in 1961. 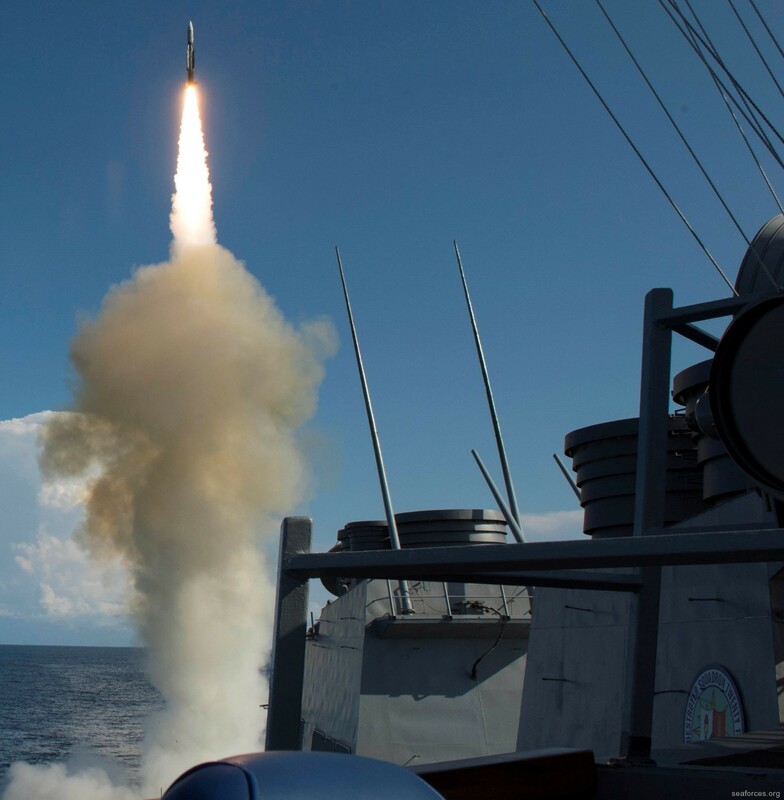 One of Burke's first and foremost priorities as CNO was the development of a solid propellant fleet ballistic missile. 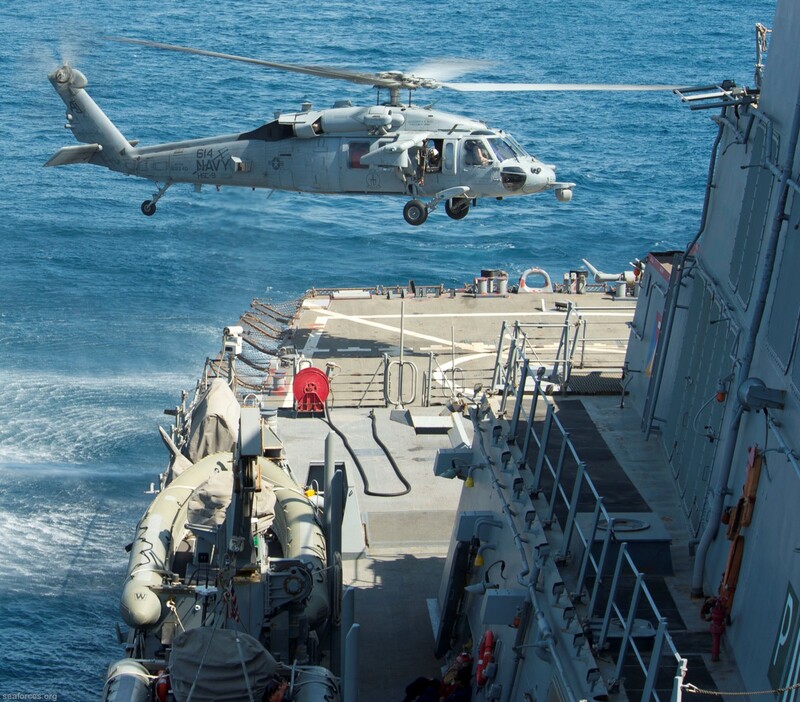 He established the Special Projects Office, appointed RADM William Raborn as head, and gave him wide latitude to accomplish the objective. Polaris was the result. 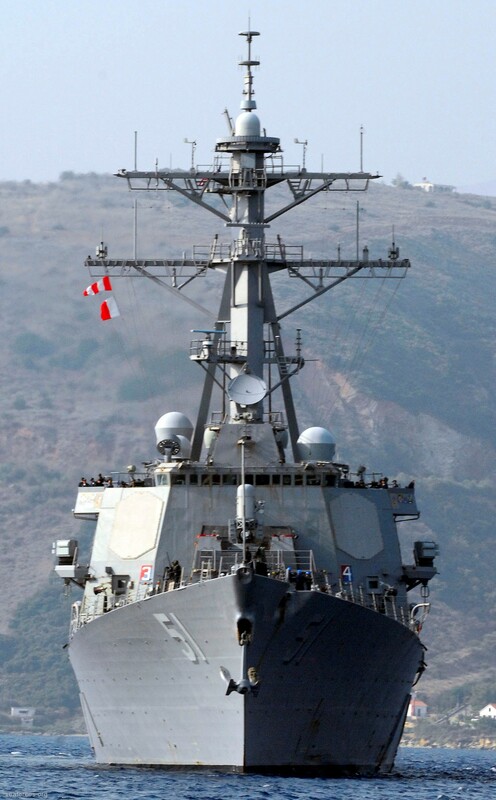 Another priority was construction of nuclear powered surface ships - carriers, cruisers, and destroyers. 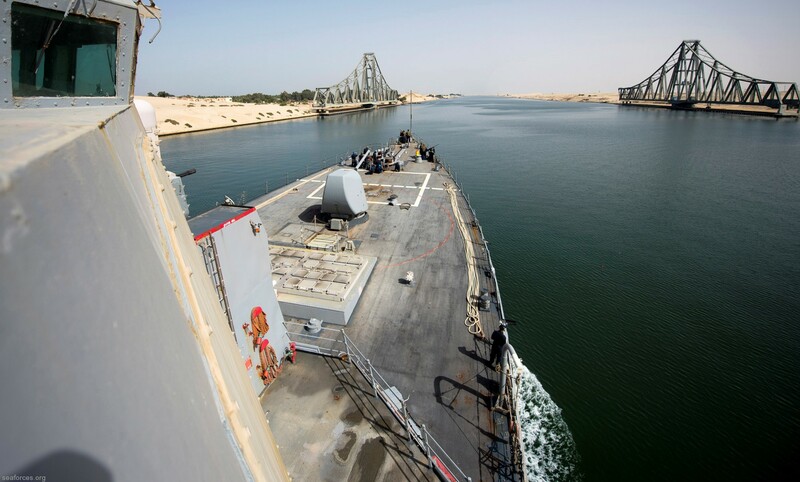 USS LONG BEACH and USS ENTERPRISE were authorized and built, and USS BAINBRIDGE and USS TRUXTUN followed. 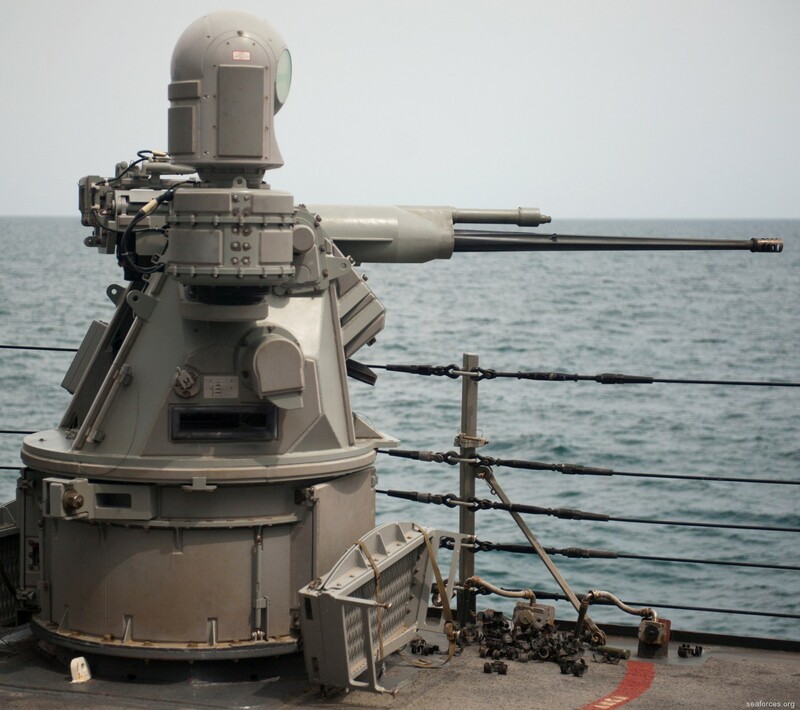 He pressed for conversion of cruisers to employ guided missiles and their introduction in other ships to defend against air attack. 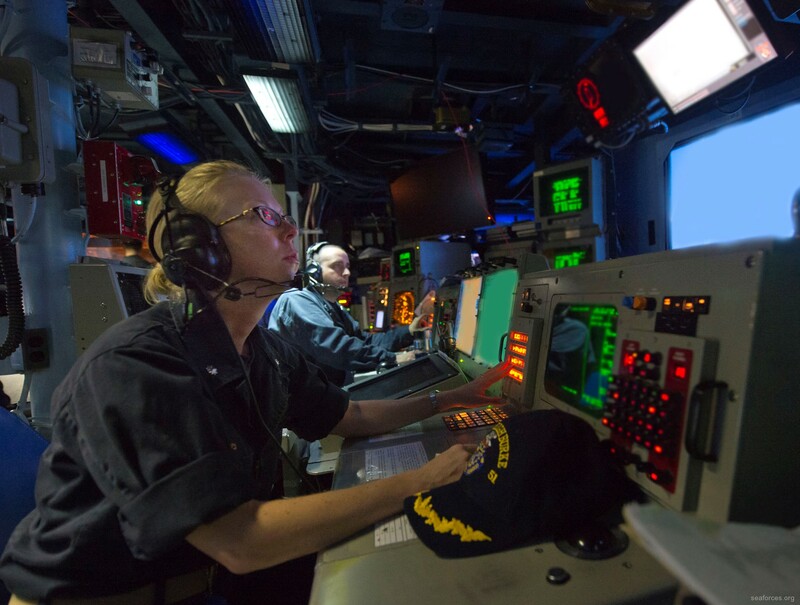 Antisubmarine warfare programs were accelerated and an Atlantic Fleet Antisubmarine Defense Force was established to test and evaluate sensors and weapons, and to develop tactics and coordination of air, surface, and submarine forces. 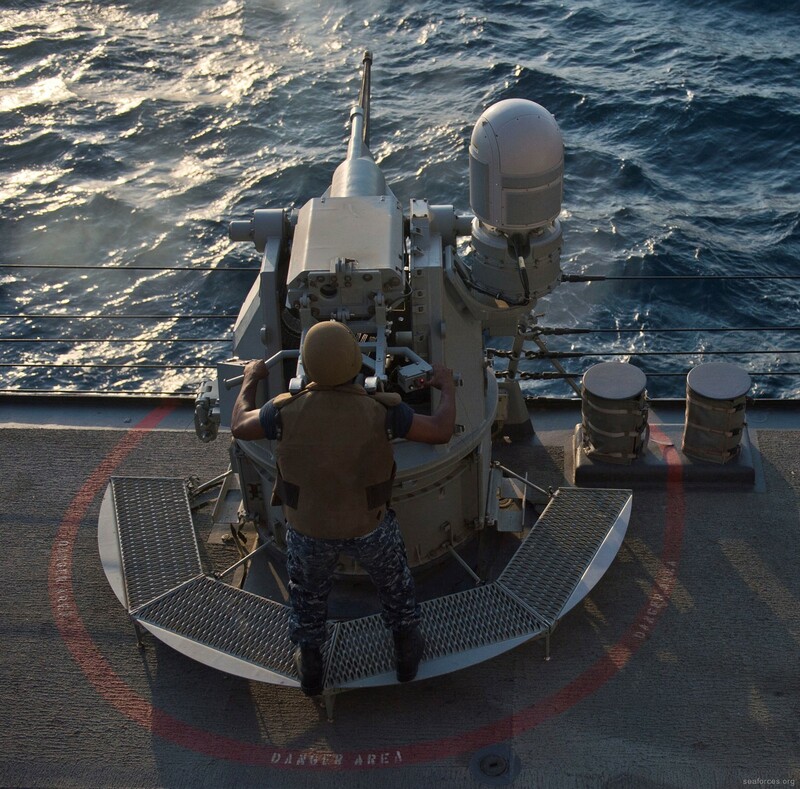 He took pains to ensure that the Navy achieved and maintained a high state of readiness. 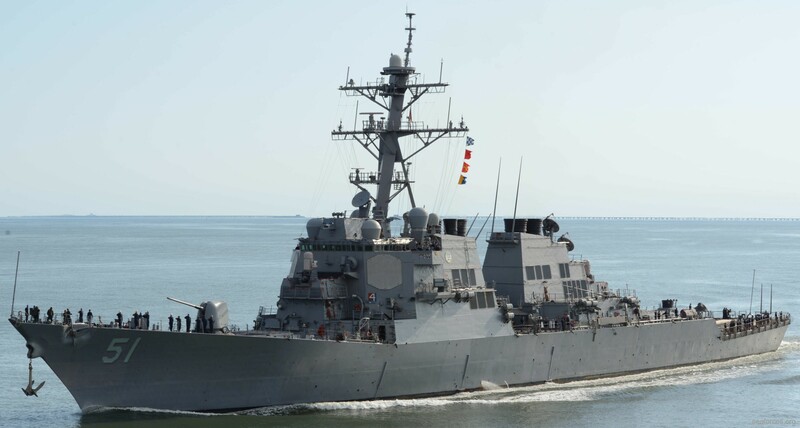 He was the chief spokesman for the Navy and was tireless in his efforts to educate the public on sea power and the Navy. He functioned as a member of the Joint Chiefs of Staff and continued, not always successfully, his fight against further centralization in the Department of Defense. On 25 July 1961 in ceremonies at the U.S. 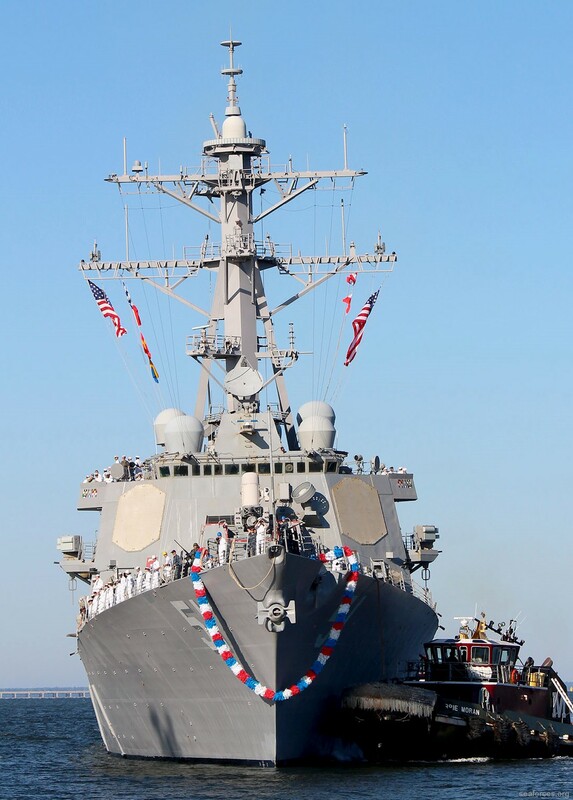 Naval Academy, Admiral Burke was relieved as the Chief of Naval Operations and retired. 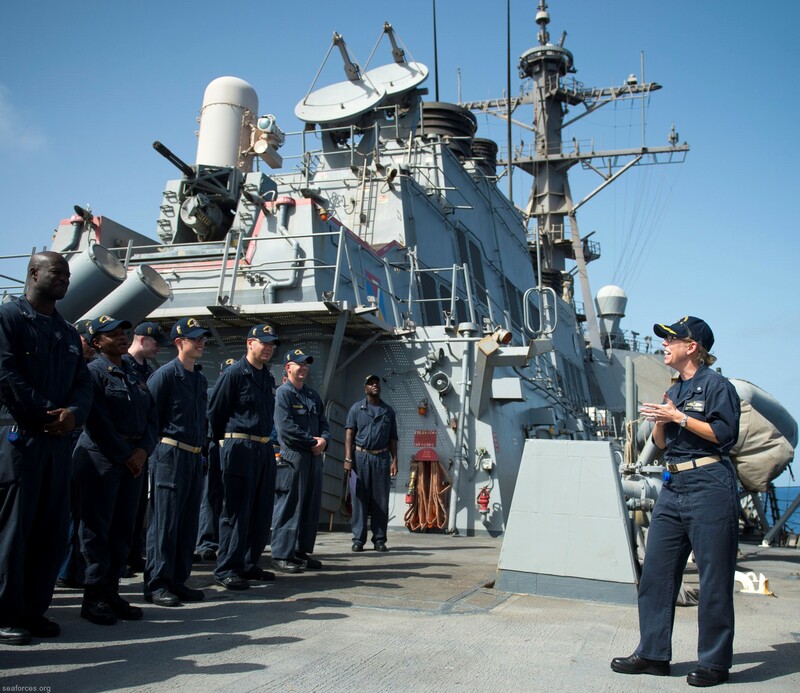 He remains the longest serving Chief of Naval Operations in the history of the U.S. Navy. 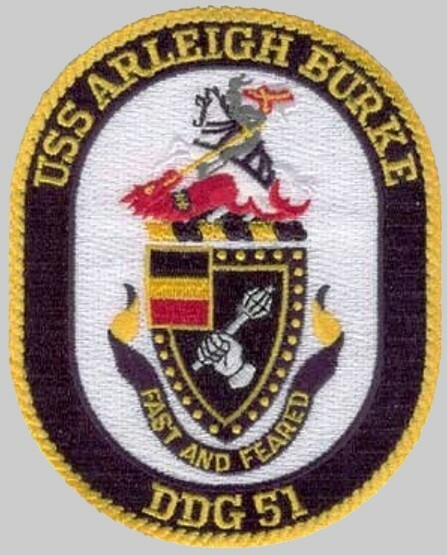 Admiral Burke died on January 1, 1996.